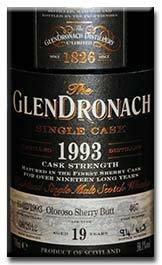 Nose: Round, mellow, rich, fruity, slightly malty, on peach, melon, exotic fruits, some tobacco, humus and a hint of smoke. Taste: Grassy, waxy, citric, slightly smoky, on grapefruit, melon, lemon, some mustard seeds, a hint of smoke and liquorice. The finish is medium, waxy, , and slightly bitter, austere and mustardy, with some sea brine, citrus, humus and light waxy flavours. Impression: A very good waxy, grassy whisky, with a pleasant citric and coastal influence. Nicely fruity. I wished these old whiskies were bottled at cask strength. Nose: Floral, round , smooth, smoky, slightly citric, tarry, and ashy, with some cocoa and light aromas of geranium. 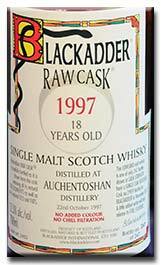 Taste: Round, smooth, sweet, fruity, slightly floral and fragrant, with some toffee, lemon, germanium, and peat smoke. The finish is medium, floral, fragrant, moderately smoky and aromatic, with some marmalade and fragrant flowers. Diluted, it becomes more bitter and on coffee. Impression: A rather round, fruity, floral and smoky version of Blair Athol. 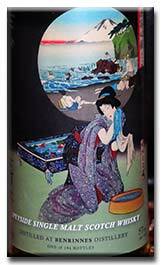 Nose: Intense, rich, floral, smooth, on lacquer, leather, sultanas, precious wood, and plums. Very good! Taste: Intense, spicy to very spicy, oaky to very oaky, hot, spirit, slightly vegetal, with some quince, Mirabelle, tangerine, and lacquer. Even diluted, the alcohol is well present. The finish is medium, oaky, smooth, rather clean, with some aromatic herbs, ginger, oak spices, lacquer, precious wood, Mirabelle, and quince. Diluted, it becomes slightly fruitier. 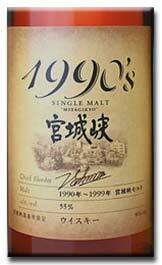 Impression: The nose was very good, rich and floral, while it is rather oaky, spicy, and spirit on the palate. If only the palate was as good as the nose. Thank you Stéphane! Nose: Intense, rubbery, floral, slightly vegetal, on leather, sultanas, dried fruit and some vegetal condiments. Taste: Rubbery, vegetal, spicy to very spicy, spirit, bitter, on bitter herbs, vegetal condiment, fresh rubber, burnt tyre and cloves. The finish is medium to long, bitter, woody, rubbery, slightly astringent, on cachou, cloves, fresh and burnt rubber. Impression: A very rubbery version of Karuizawa. Simply too rubbery for me. Thank you Trong for your help to source the sample. Nose: Rich, floral, thick, on precious wood, tannins, leather, dried fruits, orange, tangerine, walnut, lacquer, cinnamon, and cocoa. Quite fruity and smooth. Taste: Rich, fruity, slightly floral, on eather, high grade leather, tangerine, orange, marmalade, cinnamon, some nuts, cloves, dark chocolate and precious wood. 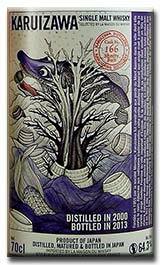 The finish is long, complex, rich, fruity, slightly floral and spicy, on leather, dark chocolate, cinnamon, some cloves, Pu-erh tea, orange, candied orange, lacquer and precious wood. 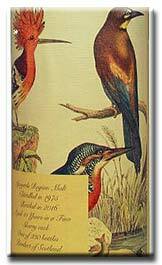 Impression: A complex, heavily sherry sherry, fruity, with elegant flavours of precious wood. The sherry is very intense, and fortunately, not too dry or bitter as it is often the case with heavily sherried whiskies. Excellent. Nose: Smooth, light, fruity, subtle, on fresh fruits and some slightly warm orchard’s fruits. A very elegant light and smooth whisky, than one enjoys to keep nosing. Taste: Fruity, slightly citric, aromatic and austere, with some yellow fruits, grapefruits, a hint of smoke and tobacco. The finish is medium to long, subtle, elegant, slightly waxy, austere, and aromatic, with a hint of smoke, some mango, grapefruit, vanilla, melon and a light round fruitiness. Impression: An elegant, complex and subtle whisky, that reminds me of some old Rosebank. A very rewarding whisky it you keep it rolling on your tongue for a while. Excellent. Nose: Malty, floral, slightly fragrant, on vanilla, some almond and frangipane. Taste: Sweet, light, thin, grassy, on vanilla, some liquid honey and frangipane. The finish is rather short, thin, light, and slightly grassy, with a light fragrance and bitterness. Diluted, it becomes very thin and taste like a diluted whisky. Impression: A thin whisky and of weak intensity. I wished it had been bottled at 46%. Not bad, simply too diluted. Nose: Mellow, smooth to very smooth, floral, slightly fragrant and malty, on fresh flowers, some peach, tangerine, orange, Mirabelle and cardamom. Taste: Very smooth and floral, creamy, on juicy orange, some quince and Mirabelle. Complex, elegant and subtle. The finish is medium to long, floral, slightly fragrant, complex, elegant and subtle, on rich and juicy fresh fruits (orange, tangerine, Mirabelle and some quince). Impression: An excellent whisky, extremely smooth, subtle and complex, with rich and juicy fruity flavours, without any roughness. A most enjoyable and highly recommended whisky. A sharp contrast with the 16 YO. Nose: Very peaty, maritime, oaky, on iodine, lots of seaweeds, tar, and some vanilla. Rather young. 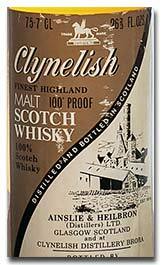 Taste: Very peaty and maritime, smoky, on iodine, seaweeds, camphor, some disinfectant and a touch of spearmint. The finish is medium, oaky, slightly sweet, and maritime to very maritime, peaty, smoky, tarry, on camphor, lots of seaweeds and some seashells. 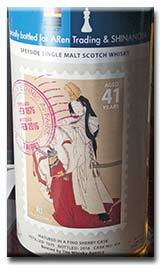 Impression: A very good, peaty whisky, with most pleasant and intense maritime influence. Tasted markedly more maritime than most Ardmore. Tasting blind. Nose: Mellow, grassy, slightly malty, fresh, and fruity, on vanilla, some green fruits and honey. Taste: Malty, slightly starchy, green, smooth, with some freshly crushed barley, tobacco leaves, a touch of bitterness and green apples. The finish is medium, fresh, malty, smooth, slightly sweet and juicy, with some fresh aromas of schnapps, green apples, freshly cut grass and honey. Impression: A well-made and refreshing whisky, rather mellow and slightly juicy. 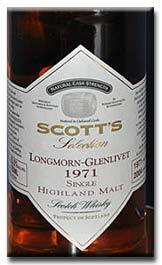 Nose: Smooth, intense, oaky, malty, and syrupy, with some maple syrup, cooked fruits and toffee. Rather heavy. 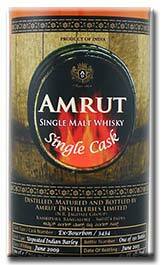 Impression: A surprising Amrut, with an intense wood influence and a profile reminding of a thick Bourbon. Thank you Bernhard! Nose: Smooth, floral, very fragrant, on rose water, marshmallow, and some exotic flowers. Taste: Green, grassy, spicy and mellow, on cinnamon, nutmeg, peach, porridge, apricots and some cream. The finish is medium to long, mellow, rich, spicy, on porridge, peach, apricots, nutmeg, cinnamon and a hint of pepper. 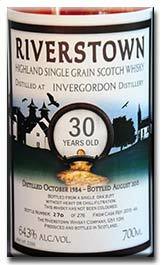 Impression: A mellow and rich whisky, with pleasant aromas of cinnamon, peach and porridge, reminding me strongly of a grain whisky. Nose: Very smooth and mellow, grassy, with some exotic wood, on tangerine, old wood and some light exotic fruits (guava). Seems slightly tired. Taste: Rich, rather syrupy, intense, round, floral to very floral, with some geranium, plums, berries, guava and other tropical fruits, as well as some fresh grassy notes. The finish is medium, smooth with a slight dryness, on sour berries, cherries, and eucalyptus, as well as a thread of dry smoke. Impression: A version close to the 1968, slightly more intense but also drier. Nose: Smooth, slightly spicy (ginger), slight floral notes, a hint of smoke, some orange peel and a hint of smoke. Taste: Rich, spicy (ginger and cloves), floral, with some berries, vanilla, a hint of heather, some tangerine and orange peel. The finish is medium, rather clean and spicy, floral, oaky, on cinnamon and cloves. 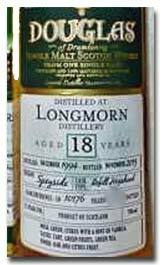 Impression: A pleasant version of Longmorn smoother but also more oaky than the previous 15 YO. Nose: Round, smooth, mellow, floral, with an elegant sweet sherry influence, some red berries, a thread of peat smoke and somelight aromatic influence. Excellent. 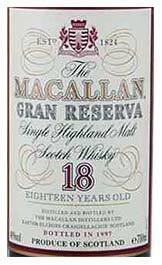 Taste: Smooth, dry, slightly woody, smoky, peaty, grassy, aromatic and floral, with some berries and over infused tea. Diluted, it becomes slightly less dry. The finish is medium, dry, slightly woody, aromatic, and smoky, on berries and some over infused tea. Impression: The nose was very promising but on the palate it is slightly tired with notes of over infused tea and wood. 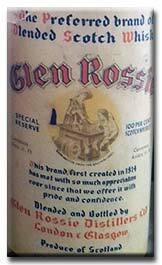 Nose: Very close to its 1971 sibling, but with more intensity, slightly drier and some light additional notes of plums. Maybe slightly more peaty as well? Taste: Rich, intense, floral, aromatic, grassy, with some berries, guava and exotic wood, and faint notes of plums. Complex and the profile changes over time, with some notes of eucalyptus appearing once the spirit is warmed by the palate. 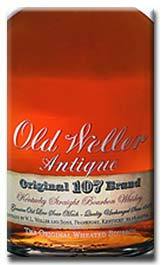 The finish is medium to long, “old fashioned”, smoky, aromatic, grassy, slightly floral, on slightly sour berries and eucalyptus. Some milk chocolate at the end. Impression: A nice old rich and old-fashioned Longmorn, intense and satisfying. Nose: Floral, oaky, tannic, slightly smoky, on leather, beeswax, orange, some tangerine, red berries and dried fruits. Taste: Very fruity, round, slightly tannic and woody, on honey, red berries, chocolate, leather, balsamic vinegar, orange zest and some smoke and rubber. 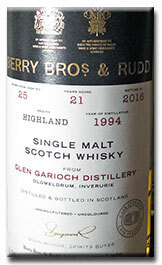 The finish is medium to long, astringent, tannic, slightly bitter, on red fruits and berries, burnt matches, dark chocolate, floral notes and orange zest. Impression: The nose is rather pleasant and the initial delivery on the palate is most enjoyable, before the astringent and bitter tannic flavours appear. Nose: Rich, on leather, honey, Christmas cake, orange, tangerine and some berries. Very smooth. Taste: Rich, spicy, tannic, woody, slightly citric, on leather, berries, orange, tangerine, treacle and coffee. The finish is long, slightly bitter, tannic and woody, on coffee, bitter orange and berries. Impression: A very good and rich old Longmorn, but the wood is rather strongly (too?) present for my taste. Nose: Intense, thick, on chocolate, some ovaltine, vegetamine, rubber, dried apricots, pollen, meaty and floral notes. Taste: Intense, floral to very floral, on vegetamine, orange and a lot of fresh rubber. The finish is medium to long, floral to very floral, round, slightly bitter and strong notes of fresh rubber. Impression: A very rounded version of Longmorn with intense rubbery notes, becoming milder and fruitier with some water. Nose: Very smooth and round, oaky, floral, on honey, summer flowers and some vanilla. Lighter, cleaner and more oaky than the Worlds of Orchids. Taste: Light, floral to very floral, fragrant to very fragrant, on vanilla, some smoke and bitter notes, with a certain sweetness. The finish is medium, floral, very fragrant, slightly bitter, light and slightly smoky, with light notes of berries. 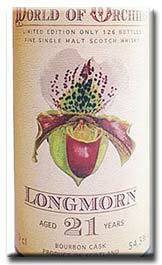 Impression: A floral and very fragrant version of Longmorn, that taste slightly younger than its age. Nose: Round, smooth, malty, fresh, floral to very floral, on vanilla, some honey, a touch of anise and summery flowers. Smoother and rounder than the First Editions. Taste: Intense, oaky, round, slightly fragrant, with some bitter tobacco and floral notes, round notes of pollen and beeswax. The finish is medium, floral, slightly bitter and smoky, rather round and grassy, with some fragrance and floral notes, vanilla, beeswax, some slightly sour berries. Impression: A nice round and pleasant Longmorn, without any roughness and nice notes of honey. Nose: Fresh to very fresh, oaky, malty, floral, rather round, on honey, some vanilla, fudge and fresh fruity notes. 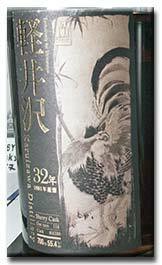 Taste: Oaky, spicy, slightly rough and aromatic, floral, slightly fragrant, vanilla and on bitter tobacco leaves. The finish is medium, slightly rough and oaky, rather floral and fragrant, on vanilla, oak extracts, geraniums, some honey and light creamy notes. Impression: A fresh, rather clean Longmorn, with rather pronounced oaky and fragrant notes. Nose: Deliciously smooth and mellow, nutty, thick, floral, slightly meaty and tannic, on leather, tannins, figs, sultanas, chestnuts and walnuts, orange, cinnamon and a touch of rancio. Taste: Rich, intense, complex, floral, sweet, very fruity, on banana, pineapples, orange, tangerine, cinnamon, sandalwood, cherries, plums, sultanas, and a touch of cocoa. Diluted, it becomes slightly more tannic. The finish is medium to long, floral, spicy, slightly nutty, round, on milk chocolate, orange, orange blossom, sultanas, figs, leather, some honey and peat smoke. Complex. Diluted, it becomes slightly woody and more tannic. 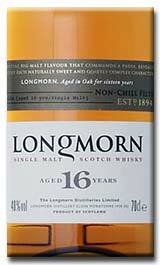 Impression: An excellent rich and very fruity Longmorn, complex, on dried fruits and a touch of smoke. 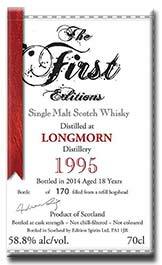 Glad to taste again a Longmorn distilled in the 1960s. Seemed fruitier and less woody than the first time I tasted it several years ago. Thank you Benjamin! 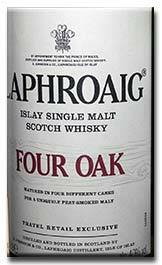 Nose: Smoky, round, floral, slightly oaky, on vanilla, some ginger, peat smoke, and a touch of seaweeds. Surprisingly smoky. Taste: Smoky, peaty, floral, rather aromatic and oaky, slightly spicy and creamy, on peat smoke, aromatic herbs, some seaweeds, heather, sea salt and vanilla. 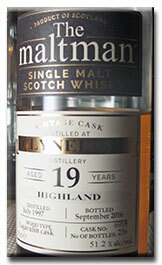 The finish is long, peaty, smoky, floral, round, with some seaweeds, heather, peat smoke and vanilla. Impression: A surprisingly peaty and aromatic Longmorn. 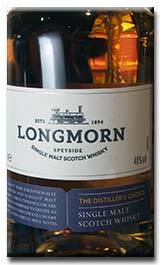 As I have not of peated Longmorn, could this peaty influence coming from an ex-peated cask? A very good one! 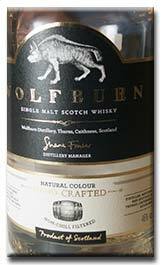 Nose: Smoky, meaty, slightly peaty, on leather, dried meat, some jasmine, other fragrances and honeycomb. 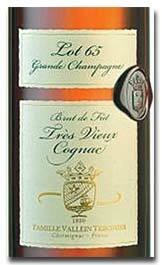 Taste: Rich, complex, fruity, slightly floral and creamy, on peach, tangerine, apricots, cinnamon, treacle and apples. The finish is medium, rich, complex, on honey, some cachou and honey, as well as some peach, apricots, cinnamon and burnt wood. Impression: A very good single malt, rather creamy with some bourbon-like flavours. Nose: Very smooth, creamy, on peach, apricots, cinnamon, nutmeg, orange, with some vanilla and maple syrup. Balanced. Taste: Very smooth and creamy, with round notes of peach, orange peel, on nutmeg, cinnamon, and slight spices. The finish is medium to long, very smooth, creamy-milky, elegant, balanced, on nutmeg, cinnamon, some peach, apricots and some nutty flavours. Impression: A very smooth and elegant wheated bourbon, with nice creamy-cereal flavours. Elegant and well made. Nose: Mellow to very mellow, rich, fruity, with some humus, tobacco, exotic fruits, including a lot of mango and papaya. Taste: Very smooth and mellow, citric, rather light, and slightly spicy, on passion fruits, melon and a hint of toffee. The finish is medium, slightly woody and spicy, on humus, some nuts, bitter caramel, citrus, cocoa and light aromas of passion fruits. 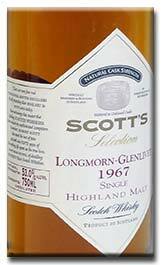 Impression: On the palate and on the nose, the whisky was most pleasant, rich, fruity and slightly citric, becoming heavier, more bitter and with some cocoa on the finish. A whisky that keeps evolving. Seemed older than the age on the label. 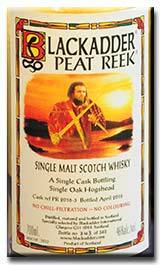 Nose: Peaty to very peaty, smooth, intense, fruity, slightly meaty, on leather, orange, honey, tangerine and cocoa. Very good. Taste: Rich, juicy, spicy, sweet, round, fruity to very fruity, on exotic fruits, grapefruits, leather, cinnamon, some tangerine zest and cocoa. Diluted, it becomes slightly more citric, with some pineapple and a hint of coconut. 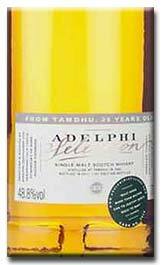 The finish is long, peaty, rich, fruity to very fruity, on exotic fruits, some orange, pineapple, light spices and humus. Impression: A delicious rich, fruity whisky, with a dash of smoke and on very pleasant exotic fruits and some grapefruits. Tasted blind and seemed markedly better than the last time I tasted it. Nose: Peaty to very peaty, maritime, smoky, mineral, complex, farmy and mustardy, on sea brine, sweet fruity flavours and some honeycomb. Lovely. 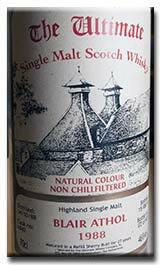 Taste: Intense to very intense, sharp, peaty to very peaty, waxy, on old peat smoke, some citrus, mustard, soot and tar. The finish is long, waxy, peaty, smoky, farmy, quite austere, with some citrus (a mixture of grapefruit, orange and tangerine), sea brine and tarry-peaty smoke. Diluted, it becomes more austere, aromatic and with a stronger coastal influence. 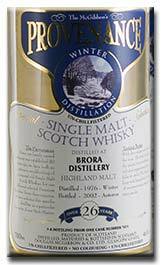 Impression: A very good Brora, quite peaty, with some citrus and aromatic herbs. I like this dry, peaty and farmy flavours very much. 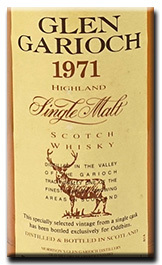 Not as peaty as the ones from the early 1970s, but markedly more peaty than the once from the 1980s. Nose: Very smooth, floral, mellow to very mellow, slightly oaky, on honey, beeswax, some peach, quince, slight grassy, fruity and malty notes. Excellent. Taste: Sweet, very smooth, fruity, juicy, malty, oaky, on vanilla, peach, elderberry syrup, honey, quince, some tangerine, frangipane, almonds and hint of smoke. The finish is long and on the same flavours. 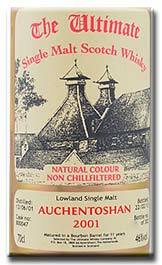 Impression: A deliciously mellow, fruity complex and sweet Auchentoshan. Nose: Light to very light, fresh, rather young and spirity. Taste: Light to very light, young, oaky to very oaky, slightly malty. Quite rough. The finish is medium, oaky to very oaky, young, light, on vanilla, ginger and some bitter caramel. Diluted, it becomes more bitter and on caramel. Impression: A correct whisky, probably from a rather inactive cask. Nose: Oaky, spicy, on toasted oak, some nuts, dried fruits and orange. Taste: Oaky, dry, floral, fragrant, very bitter, spicy, musty, on artichoke, old wood, tobacco, slightly earthy and tree sap. The finish is medium, dry, bitter, fragrant, on tree sap, humus and marmalade. Impression: A rather tough, dry, earthy and bitter whisky that tastes the wet woodland. Rather difficult and with a strong personality. Nose: Rich, fruity, mellow, complex, on tropical fruits, peach, vanilla, mango and a hint of smoke. Very good. Taste: Rich, spicy, citric to very citric, on tropical fruits, some peach, coconut and grapefruits. The finish is medium to long, citric, slightly mineral, waxy and spicy, with some mustard seeds, vanilla, passion fruits, bananas, and aromatic herbs. 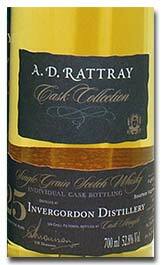 Impression: A very good whisky mixing exotic fruits with citrus, light mineral, grassy and waxy flavours. Maybe not the easiest one, but most pleasant. Nose: Rich, fruity, fragrant, and tannic, on orange, dried fruits, cinnamon, leather, precious wood and some figs. Very good and pleasant. Taste: Rich, spicy, peppery, slightly woody, on cinnamon, some nutmeg, orange, tangerine, and light nutty flavours. The finish is medium to long, slightly nutty, tannic and woody, with some pepper, orange, tangerine, a hint of smoke and cinnamon. Impression: A rich, intense, nutty, rather spicy whisky. Slightly too dry, nutty and woody to my liking. Nose: Smooth, intense, floral, slightly fragrant, tannic, on leather, cinnamon, orange, light fruity flavours, rich spices, some lacquer and precious wood. Taste: Rich, spicy to very spicy, rich, slightly nutty and fragrant, on cinnamon, nutmeg, some cloves, ginger, precious wood, marmalade, orange and tangerine. The finish is medium to long, fruity to very fruity, spicy, with some leather, tannins, orange, tangerine, cinnamon, nutmeg and light nutty flavours. Diluted, it becomes sweeter, fruitier, with some dry spices, tannins but also with more mango. Impression: The nose was heavy and intensely sherry, with some tannins, and smooth, sweet and very pleasantly fruity on the palate. Very good and well balanced. Nose: Very smooth, round, mellow, slightly floral, with some hops and a nice sweet and fruity influence. Very nice. Taste: Very smooth, round, spicy, slightly waxy and aromatic, with some eucalyptus and a nice fruity influence. The finish is medium, slightly bitter, on humus, wet tobacco leaves, hops and pear drops. Diluted, the hops flavours are becoming stronger. Impression: A very good and smooth Glenturret, complex and well balanced. Nose: Smoky, slightly earthy, on wet wood, humus and sweet fruity notes, including some pineapples. Taste: Slightly bitter and salty, on humus, wet tobacco, eucalyptus, some pine wax and a certain bitterness. The finish is medium, oaky, woody, on humus, some wet liquorice roots, hops, eucalyptus, light floral notes and some fruity notes. 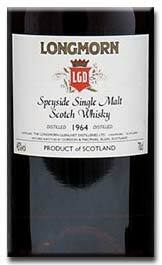 Impression: A good old-fashioned austere Glenturret with nice notes of old and wet wood. 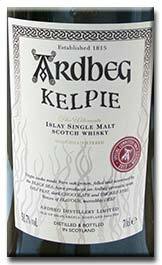 Nose: Peaty, smoky, fresh, pleasant, slightly aromatic, on apples, some vanilla and light spices. Taste: Citric, fresh, on citric candies, some peat smoke, zesty citrus, vanilla, ginger, humus and austere flavours. Complex and intense. The finish is medium to long, citric, slightly aromatic and austere, with some peat smoke, zesty and candied citrus (mainly lemon), as well as a hint of fur tree sap. Well balanced. Impression: A very good, slightly aromatic and austere whisky, with a nice dose of peat and pleasant citric flavours, reminding me of some old style lemon candies. 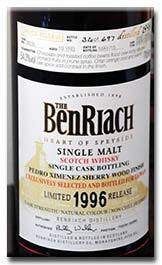 Nose: Intense, spicy, slightly smoky, aromatic and peaty, rich, on humus, fruitcake, sultanas, some honey, old and dry sherry. Very good. Taste: Grassy, slightly mineral, on honey, some heather, old peat smoke, humus, flint stone, orange, tangerine, some grapefruit, and charcoal/pencil shaving. The finish is medium to long, grassy, mineral, on humus, some coffee, cocoa, marmalade, orange, tangerine, mineral, dry and slightly aromatic peat smoke, mushrooms and honey. 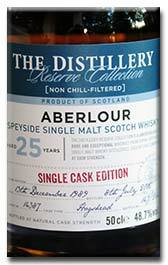 Impression: A very good old style of Aberlour, rather mineral, smoky and aromatic with some dry-sweet sherry influence. Thank you Cyril. Nose: Light to very light, smooth, floral, aromatic to very aromatic, green, on fenchel, olives, artichoke, honey, aromatic herbs. Taste: Light, smooth, floral, green, grassy, with a touch of soft spices, light aromatic herbs, some pears, beeswax, artichoke and green-grassy flavours. Slightly waxy. The finish is medium to long, smooth, floral, grassy, slightly waxy and oily, with some almond oil, aromatic herbs, artichoke and light austere flavours. 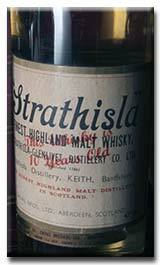 Impression: A very good, light, complex old style Strathisla, with some waxy and aromatic flavours, without any pronounced bitterness or eucalyptus flavours as we can encounter in old Strathisla. Nose: Nutty, thick, intense, floral, on vegetal extract (Maggi), vegetamine, dried fruits, humus, toffee, some leather, chestnuts and orange. Taste: Nutty, vegetal, floral, juicy, mineral, smooth to very smooth, slightly waxy and grassy, on orange, tangerine, leather, honey, some vegetal extracts, humus, cocoa, leather, cinnamon, old fashioned mineral smoke and light nutty flavours. The finish is medium to long, grassy, mineral, juicy, nutty, floral, on leather, honey, tangerine, cocoa, figs, some sultanas, mineral oil and smoke. 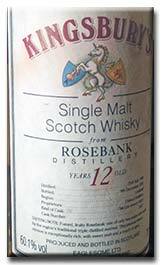 Impression: A very good old whisky distilled at Rosebank. Genuine or not, difficult to say, but very good in any case! The nose was quite vegetal, becoming juicy and grassy on the palate, with a nice light smokiness. Easy drinking. Nose: Intense to very intense, floral, complex, thick, with some hay, dried and candied fruits, nuts, orange, figs, sultanas, plums and some exotic fruits. The richness of flavours is quite impressive. Taste: Intense, rich, floral to very floral, fragrant, chewy, with some lacquer, pineapple, various spices, cinnamon, cardamom, orange peel, leather and a light bitterness. The finish is medium to long, thick, chewy, spicy to very spicy, intense, floral, slightly fragrant, on tannins, cocoa, cinnamon, nutmeg, some coffee beans, a touch of cloves and bitterness. Impression: A thick, intense, heavy and chewy Rosebank, heavy on the sherry and leather. A version reduced at 46% had been bottled for La Réserve. Thank you KC Fan! Nose: Start on a strange note, on a mixture of grassy and very sweet winey note, on vegetamine and butter cake. Diluted, gets more fruity, but also more soapy. Taste: Strong sweet wine influence, bitter, salty and spirity, then on bitter-sweet flavours and some tropical fruits. Quite disturbing flavour profile. The finish is short, clean, sweet and fruity. Impression: A quite special bitter-sweet whisky, with a quite unusual flavour profile. For the ones who enjoy their whiskies with a strong sweet wine influence. Nose: Grassy, earthy, heavy, old rubber, polished leather, vegetamine, slightly maritime, some hay flavours in the background. Taste: Huge butter toffee influence, earthy, sweet, round, on almond chocolate, Ovomaltine and butter scotch. The finish is of medium length, malty, on leather, oranges, some nice rubber notes and a whiff of smoke. 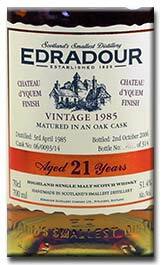 Impression: A surprising Edradour, with a huge cream toffee influence. A whisky to eat! 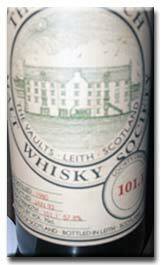 Nose: Very smoky, peaty, maritime, on seaweeds, peat smoke, some iodine, ginger, vanilla and wood spices. Taste: Very smoky, maritime to very maritime, medicinal, spicy, salty, on sea salt, seaweeds, peat smoke, iodine, some disinfectant, vanilla, liquorice roots, tar and a touch of kippers. The finish is long, very smoky, smooth, peaty, maritime, medicinal, on liquorice roots, ginger, sea salt, iodine, disinfectant, vanilla, salted liquorice, some seaweeds, kippers, leather and tobacco. Impression: The flavour profile is typical for a Lagavulin, with a lovely smoke on peat, a good dose of sea influence and medicinal flavours. A very good medicine! Nose: Close to the 59.2%, with slightly rounder and more oaky flavours. Taste: Smoky, intense, round, maritime, on pineapples, some ginger, oak spices, vanilla, eucalyptus, bandages, a touch of tobacco, toffee and iodine. The finish is long, oaky, medicinal, on camphor, bandages, iodine, peat smoke, some tar, seaweeds and a linger sea salt influence. Diluted, it becomes more medicinal and on camphor, with some citrus. 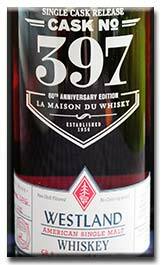 Impression: While the nose was close to the 59.2%, it is a very different on the palate, as it is very medicinal and less smoky. Very good! Taste: Very intense and oily, rooty, peaty, tarry, maritime, medicinal, on iodine, camphor, disinfectant, bandages, liquorice roots, wet socks, inner tubes, balsamic vinegar, dry oranges and some menthol. Diluted, it becomes more rooty and quite soapy (tar soap). The finish is long, very peaty and intense, oily, medicinal, citric, with lots of menthol, on bandages, kippers, some camphor, eucalyptus, iodine, tar and bitter rubber. Diluted, it becomes slightly soapy and with some dark chocolate. Impression: A very peaty and medicinal Ardbeg, very intense, rooty, on inner tube and with some menthol. Quite rough, but this works very well with the flavour profiled. Diluted, it becomes rather soapy and bitter. Not for the faint hearted but rewarding. Nose: Light, clean, floral, on dry and fresh flowers, some almond, vanilla, and a touch of melon. Taste: Nutty, slightly bitter, on tobacco leaves, some humus and green walnuts. The finish is medium, grassy, nutty, slightly bitter, salty and green, on green nuts, tobacco leaves and some vanilla. Diluted, there are aromas of blond chocolate and diluted coffee. Impression: A nutty, grassy and slightly bitter whisky, with an original flavour profile. 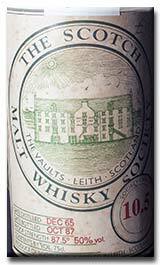 Nose: Very smooth and mellow, complex, elegant, slightly salty, peaty and maritime, with some vanilla, seaweeds and melon. 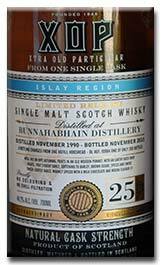 A clean and rather fruity nose and more peat smoke than current Bunnahabhain. Taste: Spicy, round, salty, maritime, on vanilla, some ginger, melon, exotic fruits and various berries. Complex and with light peaty flavours. The finish is long, mellow, complex, balanced, maritime, rather salty, slightly creamy and peaty, on ginger, some seaweed, melon, red- and blackcurrant, as well as some salted fudges. Impression: A very well balanced Bunnahabhain, rather salty and maritime, with a light lingering peat smoke, with a most discreet wood influence allowing the excellent quality whisky to shine trough. 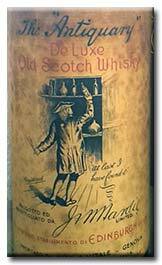 Nose: Dry to very dry, peaty, smoky, and maritime, on dry peat smoke, seaweeds, disinfectant and some iodine and treacle. Taste: Peaty, dry, smoky, maritime, austere, aromatic, on burnt wood, soot, liquid tar and some treacle. The finish is medium, fierce, fragrant, bitter to very bitter, very young, on grilled bread and some juniper berries. With a dry, tarry and sooty retro-olfaction. Impression: A rough, bitter whisky that taste very young. Not to my liking (too young). Sorry. The Caroni rums tend to be rather phenolic and a sweeter Rum might have worked better. Taste: Round, intense, floral, spicy, on caramel and toffee, as well as some nutty flavours and some old tyres. The finish is medium, floral, fragrant, rubbery and with some vomit. Impression: A rather special Dalmore, with lots of toffee notes and some off notes in the finish. Not to my liking and not flawless. Nose: Oaky, spicy, slightly juicy and mineral, with a mixture of fragrant and soapy flavours and on beeswax. Taste: !!!! Undrinkable. A mixture of washing product, fruits, lavender and something else. The content was quickly spilled out. The finish is terribly long, even after rinsing with water. Impression: I was told that this whisky was awful. Well, at nosing, the impression was pretty good, with some juicy and mineral notes. Afterwards, it gives the impression of drinking some kind of washing products. I could not drink it. Thank you Philip and Lukas for this experience. 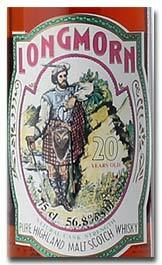 Nose: Very peaty and smoky, dry, maritime, complex, on hemp rope, some liquorice roots and vanilla. Surprisingly intense and peaty for its age. 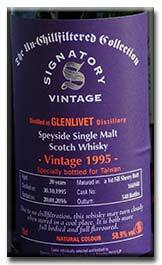 Taste: Fragrant, peaty to very peaty, maritime to very maritime, floral, on dry liquorice roots, soot and phenols. The finish is long, smoky, phenolic, maritime, slightly dry, oaky and phenolic, on soot, peat smoke, some dried liquorice and honey. Diluted, it becomes more floral. Impression: A very peaty Bowmore, complex, maritime, on soot and a light floral sweetness. Very good and well balanced. Better without water. Thank you Christian M.
Nose: Very fruity, on tropical fruits, some dried fruits, a complex and mellow peat smoke, plums, treacle, orange, tangerine, sea brine, seaweeds and a touch of aromatic flavours. 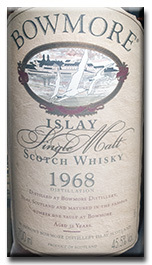 An excellent sherried and well-balanced nose, with the peaty flavours you would expect from a 1965 Bowmore. Taste: Extremely fruity, rich, salty, slightly maritime, citric and peaty, with some dry peat smoke, tangerine, orange, mango, banana, exotic fruits, as well as some tobacco leaves. Diluted, it becomes slightly nutty and more on fruit purée (mainly mango and banana). 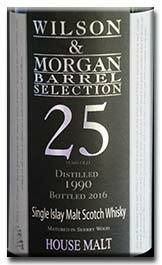 The finish is medium to long, fruity to very fruity, moderately smoky and peaty, on a slightly dry peat smoke, exotic fruits, mango, banana, some sea salt, leather, tannins and grapes. Impression: An excellent fruity Bomore, rather sweet and juicy, with lots of tropical fruits, as well as some dry peat smoke and fruity and slightly dry sherry influence. 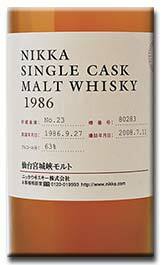 Nose: Very peaty, dry, tarry, intense, smoky, maritime and oaky. 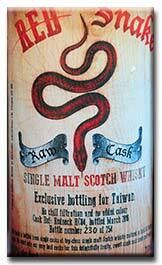 Taste: Very dry and peaty, maritime, tarry, ashy, intense and oaky, with some vanilla, medicinal flavours and iodine. 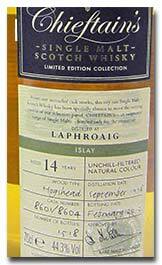 Impression: A very peaty, dry, and medicinal Laphroaig, light, but very intense. Maybe not the most typical Laphroaig, but very enjoyable. Thank you Gilles. Nose: Oaky, very peaty, smoky and intense, tarry to very tarry, maritime, dry, salty, on sea salt, seaweeds, iodine, dry peat smoke, liquorice roots, tarry rope, some lapsang souchong and some grapefruits. The intensity of the dry peat smoke was impressive. Taste: Extremely tarry, very peaty, smoky and intense, citric, maritime, dry to very dry, on hemp rope, old peat smoke (croft house), tar paint, soot, ashes, liquid tar, seaweeds, some iodine, bandages and other medicinal flavours. The flavours are very dry, but with a quite smooth and pleasant mouth feel. 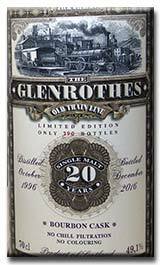 The finish is long to very long, very intense and peaty, dry, extremely tarry, smoky to very smoky, maritime, medicinal, on tar rope, soot, coal, peat smoke, iodine, sea weeds and some kippers. 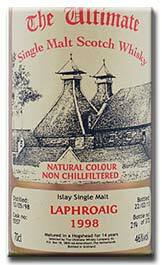 Impression: A very muscular and intense Laphroaig, with very intense tarry flavours. Smells like these old croft house in the Outer Hebrides. Impressive of intensity and very balanced. Simply delicious. Thank you Misako. 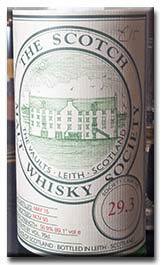 Nose: Fresh, floral, intense, round, fruity, slightly peaty, on peat smoke, some yellow fruits, tar and light grassy flavours. 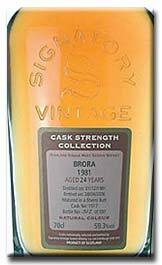 Taste: Peaty, waxy, round, aromatic, complex, slightly austere, dry and citric, on aromatic herbs, some dry peat smoke, vanilla, melon and light grassy flavours. The finish is medium to long, slightly mellow, round, slightly fruity, citric, rooty, smoky and peaty, with some grapefruits, tar and liquorice roots. 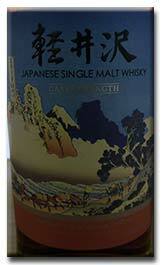 Impression: A very good, round and slightly aromatic whisky, mellow and with pleasant light citric influence. 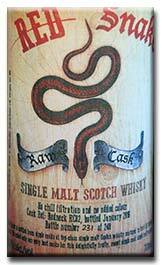 Nose: Smooth, slightly soft and malty, maritime, peaty, tarry, slightly medicinal, with some hemp rope. 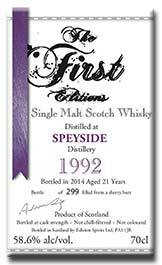 Taste: Dry to very dry, maritime, slightly salty and tarry, on peat smoke, toffee, fudge and some fruity notes. The finish is medium, dry, and slightly softer than expected, tarry, peaty, on fudge, toffee and slight sweet fruity notes. 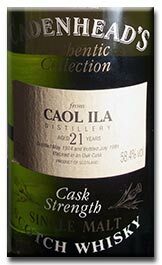 Impression: A peaty, tarry, slightly fruity version of Caol Ila. Nose: Smooth, smoky, moderately peaty and maritime, slightly winey and creamy, with some seaweeds, coconut, grapes, light mineral and ashy flavours. Taste: Creamy to very creamy, maritime, slightly salty and maritime, with a light spicy notes. The winey flavours are becoming stronger over time. The finish is medium, winey to very winey, slightly mineral, peaty, maritime and creamy. 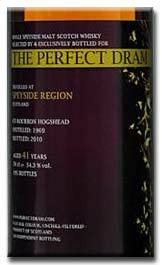 Impression: The nose is slightly peaty and rather pleasant, with the initial mouth feel, where the influence for the finish is virgin oak cask can be perceived, before the winey flavours from the wine cask dominated the whole. Too winey for me. Nose: Peaty to very peaty, thick, heavy, on old bold peat smoke, chocolate, leather, tropical fruits, shoe polish, tar, orange, diesel smoke and some sea salt. Excellent. 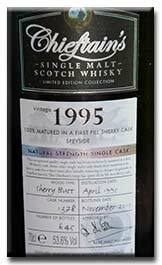 Taste: Peaty, maritime, complex, very fruity, rich, intense, on chocolate, seaweeds, sea brine, diesel smoke, cocoa, tropical fruits, leather and tannins. The finish is medium to long, rich, thick, chewy, on chocolate, cocoa, seaweeds, sea brine, leather, various maritime flavours, tropical fruits, tangerine and orange, an with some tannins. 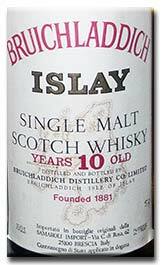 Impression: An intense, rich, intense and complex Bruichladdich, rather peaty and heavy, with a mixture of maritime influence, peat, chocolate and tropical fruits. Delicious. Nose: Woaww. Very intense, peaty, smoky and maritime, on camphor, seaweeds, disinfectant, citrus, some kippers, ashes and tar. Excellent. Taste: Very intense, peaty, smoky and maritime, complex, on citrus, pink grapefruits (fresh and candied), seawater, seaweeds, humus, candied citrus, some tar, ashes and burnt wood, with light medicinal flavours. Diluted, it becomes rather bitter, on old wet wood, liquorice roots and markedly more citric (grapefruit and bitter lemon). It becomes also farmier. The finish is long and on the same flavours. 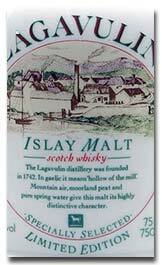 Impression: A very intense, peaty, smoky and maritime Laphroaig, on grapefruits and other citric flavours. Tasted neat, it was excellent; while it becomes quite bitter once some water has been added. Better to enjoy neat. Nose: Round, smooth, rather sweet, maritime, mineral, smoky and peaty, with a fair dose of citrus (lime, lemon and grapefruit), with some candied oranges, seaweeds, seawater, cocoa and farmy flavours. Taste: Very intense, smooth, citric to very citric, maritime, slightly medicinal, woody and starchy, on peat smoke, grapefruits, farmy flavours, some salt, roasted coffee beans and liquorice. The finish is long, citric to very citric, peaty, slightly woody, on roasted coffee beans, grapefruits, citrus, seaweeds, old and wet wood and light farmy flavours. Diluted, it becomes more citric, woody and bitter. Impression: Not an easy one. The nose was excellent, combining some sweet citric flavours, medicinal and peaty flavours, becomes more woody, citric and bitter in the finish, especially when water has been added. Nose: Very mellow, slightly floral, rather soft, on honey, pineapples, mirabelles, and some candied fruits. Fruit juice. Taste: Mellow, soft, floral, slightly acetic and oaky, on pineapples, wood spices, some tropical fruits, Mirabelle and leather. The finish is medium to long, very mellow, soft, fruity, slightly spicy, woody, tannic and acetic, on tinned (canned pineapples), some mint, honey, lime blossom and exotic fruits. Impression: A very mellow and quite soft fino-matured Speyside, with noticeable woody influence from a very long maturation. Very good, but more woody and less intense than the other 1975 Fino I tasted the last two years. Label is great. Nose: Very mellow, smooth, slightly floral and acetic, on exotic fruits, candied pineapples and other exotic fruits, a light smokiness, as well as some honey. Nicely balanced. Taste: Intense, floral, spicy, on tinned (canned) pineapples, some ginger, a nice intense slightly citric and acetic fino influence, mango, papaya, guava, banana and other exotic fruits. Lovely. The finish is long to very long, floral, balanced, with some honey and on nice exotic fruity flavours, as well as a nice Fino influence. Diluted, there is slightly more tobacco flavours. Impression: An excellent, mellow and well-balanced Fino Speysider, with a very good Fino influence. Nose: Light, floral, fragrant to very fragrant, mineral, lots of caramel, on humus, cooked apples, some dried sherry flavours and mushrooms. Taste: Very fragrant, floral, slightly dry, on hay, some straw, cooked fruits, caramel and rhubarb. The finish is medium, fragrant to very fragrant, floral, and slightly dry, on cooked fruits, fudge, rhubarb and tangerine. Diluted, it becomes bitterer, with more caramel, some humus and a light smokiness. 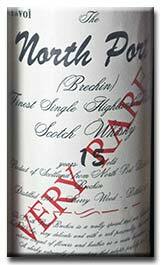 Impression: I usually found North Port (Brechin) quite difficult, but this one is good, with light sherry flavours working well with the dry and fragrant flavours typical from this distillery. 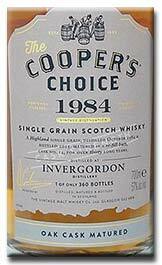 Nose: Smoky, peaty, smooth, maritime, and slightly salty, on grapefruits, kippers, some lemon juice and peat smoke. Taste: Very smooth, cardboardy, slightly maritime, smoky, peppery, on grapefruits, some peat smoke, kippers, tar and a touch of burnt wood and rubber. Slightly salty as well. 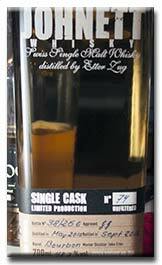 The finish is medium to long, maritime, smooth, slightly starchy and citric, on grapefruit, bitter lemon, peat smoke, some ashes, kipper and liquorice. Diluted, it becomes slightly more bitter and on caramel. 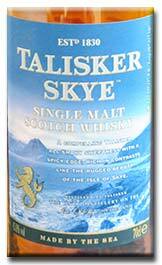 Impression: A good smooth and rather maritime Talisker, slightly thin, with some old peat smoke and ashes. Not as intense or peppery as the current 10 YO and with more caramel. Thank you Hideo. Nose: Clean, smooth, mellow, complex, on old peat smoke, bitter lemon, some ashes and oysters. 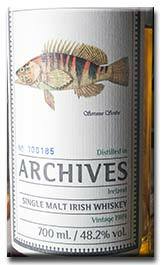 Taste: Clean, smooth, peaty, on dry peat smoke, some ashes, liquorice root, lemon peel, burnt wood and some kippers. Smells good Talisker bay! The finish is long, light, elegant, and subtle, on peat smoke, ashes, some tar, kippers, liquorice roots and lemon juice. 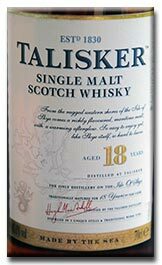 Impression: A very good Talisker, elegant and subtle, with little wood influence and a lovely complex elegant peat smoke, slightly ashy and some maritime flavours on the back. Nose: Round, oaky, malty, on roasted peanuts and some orange peel. Pleasant. Taste: Spirity, green, young, oaky to very oaky, on green malt and some crushed barley, as well as light aromas of orchards. Given time, it becomes more fruity and complex, with some peach and melon. The finish is medium, green, malty, fruity, quite round, on peach, some apricots, melon and even some banana. Impression: A whisky difficult to rate. The nose was pleasant and the finish very good, but on the palate, it seemed rather young, spirity and quite oaky. Thank you Christian D.
Taste: Green, starchy, malty, rather light, slightly fruity, with some vanilla, banana, fresh yellow flowers and a hint of starch. The finish is medium to long, slightly creamy, grassy, floral and starchy, with some honey, vanilla, banana and green fruits. Diluted, it becomes bitterer, on humus and old tobacco. Impression: A green, grassy and malty whisky, with a slightly bitter finish. 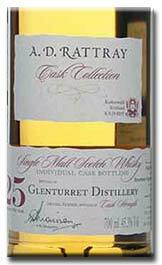 Nose: Waxy, smoky, moderately peaty, smooth, on citrus (mainly lemon), some wet wood, pencil shaving and mustard seeds. Very good. Taste: Very gingery, malty, waxy, slightly mineral, smoky, peaty and maritime, on ginger, wax, sea brine, some seaweeds, quince, mustard seeds, various spices and vanilla. The finish is long, waxy, slightly smoky, peaty and maritime, on ginger, some lemon curd, wet wood, sea brine, sea salt and a touch of seaweeds. 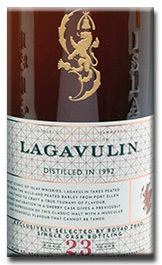 Impression: An interesting Clynelish matured exclusively in a cask that previously held peated Lagavulin single malt. An attempt to recreate a Brora style? The peaty flavours are quite maritime and not as intense or complex than the peated whiskies. The whole works very well. Thank you Boris! Nose: Mellow to very mellow, round, waxy, slightly mineral and coastal, on candied citrus, some mustard and gooseberries. Lovely waxy flavours. Taste: Waxy to very waxy, mineral, citric, on lemon curd, some mustard seeds, vanilla and vanilla custard and a hint of smoke. The finish is medium, waxy to very waxy, mellow, citric, slightly woody, on mustard, vanilla and lemon juice. Diluted, it becomes more mustardy, waxy, on lemon juice and slightly more woody. Impression: A mellow and waxy version of Clynelish, quite citric and lemony on the finish, with some woody flavours present. Very good, but probably past its prime. Nose: Intense, smooth, slightly vegetal and rubbery, on orange, bloody orange and some dry tannins, sultanas and cherries. Taste: Intense to very intense, vegetal, floral to very floral, slightly fragrant, clean, on orange, tangerine, cinnamon, leather and tannins. The finish is medium to long, smooth to very smooth, vegetal to very vegetal, slightly rubbery, on orange, tangerine and cinnamon, with some spearmint. Diluted, it becomes dryer and more tannic. Impression: A well-balanced smooth, vegetal, round and fruity Glengoyne. 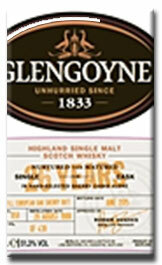 A different type of sherried Glengoyne than the 1988. Thank you Gene. Nose: Clean, gingery, spicy, slightly malty, aromatic and bitter, on ginger, some butter, vanilla, a light smokiness. Impression: A nice and clean Glen Garioch, on ginger and grassy-malty flavours, with a most discreet sherry influence. Tasted blind, I would not have guessed it was from a sherry cask. Nose: Very smooth and round, malty, on orchard’s fruits (mainly pear). Refreshing. Taste: Very smooth, round and malty, rather mellow and grassy, on orchard’s fruits, some vanilla and honey. The finish is medium, mellow, grassy and round, on orchard’s fruits, a touch of smoke and honey. Impression: A very smooth and malty Glen Ord, quite grassy and on orchard’s fruits. Nose: Smoky, peaty, intense, rich, complex, on leather, chocolate, some cocoa, peat smoke, heather honey, light farmy and aromatic flavours, orange, dates and a hint of figs. I love it! Taste: Austere, dry, aromatic, smoky to very smoky, peaty, resinous, slightly meaty and farmy, on high quality leather, dry meat, heather honey, dry peat smoke, heather smoke, some sea brine, cocoa, candied oranges, honey, light medicinal flavours and rancio. 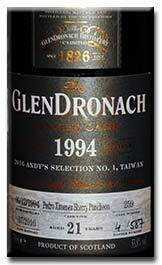 The finish is long, rich, austere, dry, aromatic, smoky, peaty, resinous, on dried and candied fruits, aromatic herbs, heather, worn high quality leather, orange, some dates, rancio, figs and light nutty flavours. 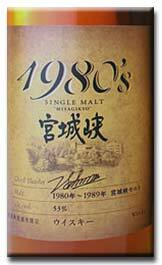 Impression: The 1958 17 YO left me with an excellent impression, but this 18 YO was even better, more complex and intense, more peaty and with a stronger sherry influence, on candied fruits and nice meaty flavours. 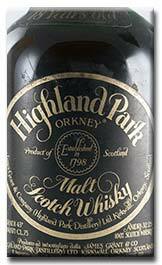 An excellent old style aromatic and resinous Highland Park. Thank you very much Benjamin! Nose: Mellow to very mellow, very smooth, on treacle, cooked cereals, peach, apricots, some cinnamon and old furniture. 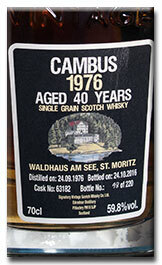 Impression: A pleasant, round and mellow Cambus, on cinnamon, peach and apricots. Well made. Nose: Very mellow, rich, intense, floral, on cooked cereals, porridge, tinned pineapples, peach and some apricots and toffee. Very pleasant and smooth. Taste: Very mellow and smooth, floral, fragrant, on porridge, cooked cereals, peach, apricots, toffee, tinned pineapples. The fragrance is quite pronounced. The finish is long, mellow, smooth, floral, fragrant, on tinned pineapples, sticky fudge cake, pecan nuts, treacle, porridge and some soft spices. 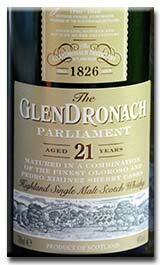 Nose: Smoky, quite peaty, aromatic, mellow, complex, waxy, grassy, slightly austere, with resinous fruity flavours. Excellent. Taste: Complex, mellow to very mellow, grassy, aromatic, on peat and aromatic smoke, soft spices, ginger, honey, vanilla, some vanilla custard and resinous flavours. Well balanced. Diluted, it becomes more ginger, on tinned (canned) pineapples, some vanilla custard and ripe peaches, as well as some tobacco. The finish is long, mellow, complex, waxy, resinous, on heather honey, vanilla, some ginger, resinous and aromatic flavours, quince, soft spices and other round and softy fruity flavours. 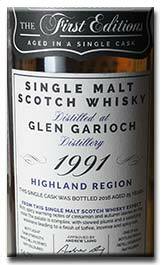 Impression: An excellent, mellow and well-balanced Glen Garioch, with soft spices, ginger, honey and pleasant mild peat smoke. More mellow and complex than the first batch of 1978. Available only at the distillery. Thank you Misako. From the sister casks bottled for the Whisky Shop and Milroy's. Nose: Very peaty, smoky and maritime, medicinal, intense, slightly fragrant, on camphor, seaweeds, tar, some orange, bonfire smoke, meat, and other medicinal flavours. Superb. 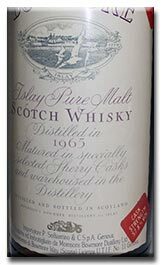 Taste: Very peaty and intense, maritime, medicinal, dry and tarry, on candied oranges and lemon, camphor, seawater, peat smoke, some iodine, other medicinal and bitter flavours. The finish is long to very long, intense, peaty, smoky, maritime, medicinal, on sweet orange, tar, seaweeds, some marmalade, kippers, liquorice, hemp rope and candied citrus. Nose: Clean, intense, peaty, sharp, intense, green, maritime, on kippers, seaweeds, some tar, menthol, camphor, peat smoke, curry and iodine. 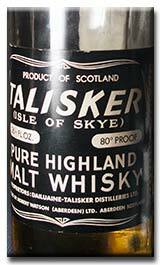 Taste: Very medicinal, smooth, peaty, maritime, tarry, slightly peppery, on hemp rope, tar, lemon peel, kippers, some camphor, iodine and tar soap. The finish is long, dry to very dry, peaty, maritime, on seawater, iodine, camphor, liquorice root, dry peat smoke, medicinal flavours, some menthol and eucalyptus. Diluted, it becomes drier and with strong antiseptic flavours. Smells like a hospital close to a peat fire. Impression: Very different from the 1968, much cleaner, more medicinal, direct and drier. Nose: Malty, grassy, slightly floral and sour, on honey, light aromatic flavours and a touch of peat smoke. It becomes more peated and drier over time. Taste: Dry, smoky, round, slightly floral, sweet, grassy and green, on honey, peat smoke, some humus, light aromatic herbs and a touch of mint. 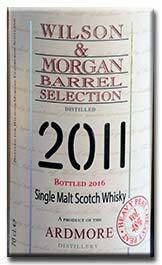 The finish is medium, round, with some oak spices, aromatic herbs, mint, pepper, berries, grassy flavours, peat smoke and a hint of tobacco. Impression: A very nice round and mellow blended, slightly grassy, on honey and a light to moderate peat smoke. Nose: Smoky, peaty, waxy, oily, on whiffs of old mineral oil, leather, some nuts, candied citrus and pineapples. Taste: Spicy, citric, round, slightly waxy and peppery, on tinned (canned) pineapples, honey, grassy flavours, some leather, candied citrus and a touch of banana. Rather intense and slightly oily and mineral. The finish is medium, rich, grassy, slightly oily, smoky and mineral, on honey, pineapples, some melon, candied fruits, sweet fruity flavours and a touch of mineral peat smoke. Diluted, it becomes slightly more on tobacco, quince and rusted iron. Impression: A very nice old-fashioned blended whisky, with rather rich fruity flavours of pineapples. Nose: Bold, round, waxy, slightly mineral and fruity, with some chamomile, lemon, other citrus fruits and mustard seeds. 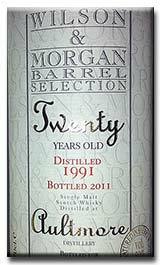 Markedly rounder and smoother than the white label 70 Proof, more also more fruity and with probably some sherry casks in the mix. Given time, it becomes sharper, more mineral and oily. Taste: Waxy to very waxy, round, mustardy, intense, sharp, slightly maritime, farmy and peppery, with some chamomile, citrus, pencil shaving, including some tangerine and aromatic and bitter herbs, as well as some cooked fruits. Quite mustardy and sweet-grassy. The finish is long, mineral, waxy to very waxy, slightly mustardy, round and mineral, on citrus, bitter aromatic herbs, some peat smoke, cooked fruits and sea brine. Impression: I never had the chance of tasting the first batches of Clynelish bottled by Gordon & MacPhail, but thank to, you Benjamin, this is now done. The whisky was very good, waxy and grassy, with the bitterness softened by light sweety flavours, without dominating the spirit. Quite mineral and smoky as well. Rounder than the Clynelish white labels, but also more mineral, dryer and austere than the later bottlings of Gordon MacPhail. 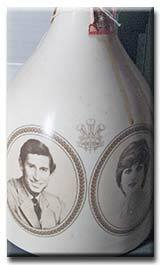 Probably distilled late 1970s. Taste: Very smooth and mellow, fragrant, on exotic wood, pineapples, high-grade leather, tannins, orange, jasmine, strawberries, lacquer and light woody flavours. The finish is medium to long, very mellow, floral, fragrant, slightly woody, tannic and bitter, on exotic wood, jasmine, plums, dried fruits, orange, leather and dark chocolate. Diluted, it becomes more on game, but also quite astringent. Impression: A heavily sherried Karuizawa, fragrant and mellow, on leather, but the wood appears, especially after some water has been added. Nose: Mellow, very intense, rather floral and fragrant, on exotic wood, lacquer, furniture polish, polished oak, plums, dried fruits, herbs, some game and cigar box. Muscular. Taste: Smooth, very mellow, fragrant, floral, round, rather meaty, lots of soft spices (cinnamon, curry, some cloves), light nutty flavours, quince, gooseberries, game, lacquer, Peking duck, lots of worn leather and some chestnuts. Diluted, it becomes rather heavy on the tannins and leather. The finish is medium, very mellow, floral, and slightly fragrant, on leather, tannins, plums, lacquer, Pecking duck, some figs, dried fruits, lacquer, cinnamon, curry, cloves and treacle. Diluted, the leather and tannins are more expressive and some fudge appears. Impression: A very rare whisky that can still be found online for an impressive $6K! 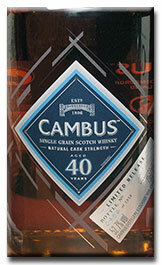 A whisky that carries well its name, as it rather heavy on the leather and tannins, and with noticeable game flavours. Nose: Fresh, intense to very intense, slightly spicy, on soft spices, butterscotch, some ginger, vanilla, honey, grassy and slightly aromatic flavours. Slightly malty and waxy. Taste: Spicy, very aromatic, waxy, slightly bitter and resinous, on eucalyptus, pine wax, aromatic herbs, vanilla, ginger, some heather honey and a touch of smoke. Balanced and elegant. The finish is medium to long, balanced, resinous, waxy, mineral, on eucalyptus, aromatic and bitter herbal flavours and some vanilla. Impression: A rather aromatic, austere and bitter version of Glen Garioch, intense, subtle with nice resinous flavours. 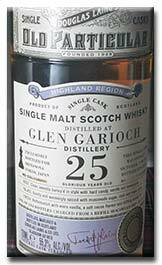 Maybe not the easiest Glen Garioch, but I enjoyed very much its aromatic and slightly bitter resinous profile. Thank you Misako. Nose: Fresh, intense, aromatic, grassy, round, mellow, on ginger, some quince, sweet and sugary malty flavours and soft spices, as well as some vanilla. Taste: Gingery to very ginger, aromatic, waxy, grassy to very grassy, slightly austere, on sweet malty flavours, heather honey, vanilla, some cooked apples, light resinous flavours and a touch of eucalyptus. Diluted, there is some tobacco, quince, Mirabelle and more vanilla. The finish is long, spicy, gingery, malty, slightly aromatic, on tobacco, vanilla, oaky spices, quince, Mirabelle and honey. Diluted, it becomes spicier, more aromatic and smokier. 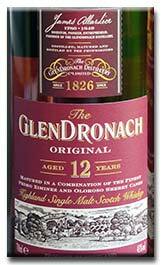 Impression: An excellent, mellow, rather intense and spicy Glengarioch, with a light smokiness and some sweet vanilla and honey flavours. 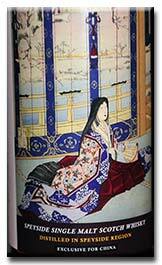 Bottle for the Japanese retailer Shinanoya. Nose: Mellow, smoky to very smoky, sweet, slightly peaty, tarry, ashy, salty and resinous, on heather honey, tea, cold peat smoke and old ashes, some citrus, sea brine and light tea flavours. Taste: Rooty, ashy, mineral, smoky, slightly peaty and tarry, on hops, honey, sea brine, wood and peat smoke, some leather and old oil. The finish is medium, oaky, rooty, smoky, maritime, slightly salty, on sea brine, old bonfire smoke, heather honey, some old peat smoke and pine wax. 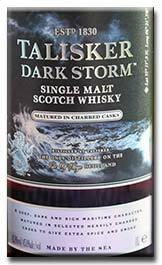 Impression: An elegant, smooth and smoky Highland Park, with a rather strong influence from the sea and slightly peaty. An old style of Highland Park. More rooty and smokier than its younger brother. Taste: Very “cereal”, malty, sweet, fragrant, floral, with some caramel. The finish is short, sweet, grassy, sugary and floral. 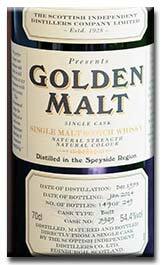 General Impression: A simple, but decent sweet and sugary malt whisky. Thank you J-M. 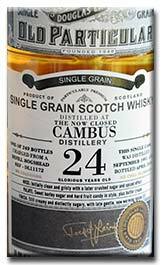 It tasted more than a blend with grain whisky than a “pure” blended malt. Nose: Floral to very floral, very intense and clean, peaty, on oysters, lemon peel, seaweeds, vanilla, some camphor and fish. Taste: Intense, very maritime, citric, peaty, smoky, slightly medicinal, on oysters, sea water, sea weeds, tar, lemon peel, vanilla, disinfectant and ashes. Over time, it becomes grassier and bolder. The finish is long, citric, very maritime, peaty to very peaty, tarry, grassy, on liquorice, lots of seaweeds, liquorice, tar, oysters, bitter lemon, vanilla, ashes and light medicinal flavours. Impression: A whisky with a very strong maritime influence, quite citric and grassy. 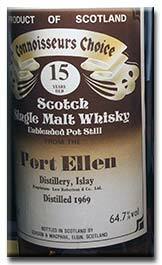 A very intense Port Ellen, bold and grassy, and not as dry and peaty as I thought. 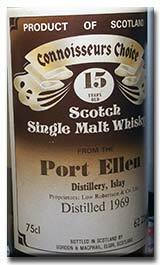 It is always a treat to taste Port Ellen from 1969. Nose: Very intense, maritime and clean, tarry, medicinal, on leather, citrus, tangerine, seaweeds, sea brine, some camphor, soot, tar, and exotic fruits. Given time, it becomes more on pink grapefruit and exotic fruits. More complex and fruity than the 62.2%. Superb. Taste: Juicy, fruity, very peaty, citric, tarry and maritime, medicinal, farmy, on camphor, citrus, sweet and juicy fruity flavours, pink grapefruits, tangerine, oysters, seaweeds, tar, ashes, soot, coal and exotic fruity. Complex and very well balanced. The finish is very long, tarry, farmy, fruity, juicy, ashy, on tangerine, sea weeds, tar rope, medicinal flavours, exotic fruits (papaya and mango), iodine, some camphor and soot. Impression: A superb Port Ellen, well balanced, with an excellent balance between sweet and juicy fruity flavours, the peat smoke and a strong maritime-medicinal flavour. 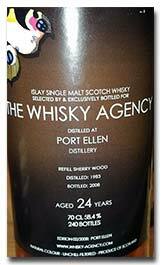 I loved it and I wish there was more Port Ellen like this one. 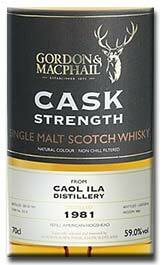 Of note, it is very rare to see bottlings of Gordon & MacPhail Connoisseur’s choice bottled at cask strength. Nose: Very round, smooth, malty, slightly vegetal and nutty, on leather, dried fruits, sultanas, figs, dates, cinnamon, lots of treacle and some coffee. Very pleasant. Taste: Malty, floral, intense, round to very round, lots of various spices, including cinnamon sticks, Christmas cake, various dried fruits, including sultanas, candied orange, leather, cocoa, tannins, some coffee, beeswax, old furnitures and varnish. Big. The finish is long, very intense, rich, thick and syrupy, slightly vegetal and floral, on fudge, cocoa, roasted coffee beans, rich spices, cinnamon, nutmeg, sultanas, dates, figs, some rubber, cloves, tannins, leather and a slight bitterness. Diluted, it becomes more on berries and on brambleberries jam. Impression: A big whisky, thick, intense and heavily sherried. A sherry bomb, but a very good one, as it is not overly bitter or rubber, with a thick and syrupy mouth feel and a remarkable complexity. Available only at the distillery. Thank you Lorenzo for your help to get the sample! Nose: Very clean and fresh, light, maritime, mineral, waxy, on pencil shaving, diverse oils, dry and farmy peat smoke. Cleaner, lighter, peatier, and less fruity than the 70 Proof recently tasted. Taste: Very clean, sharp, light, mineral, waxy, quite peaty, smoky, austere and farmy, on citrus, tangerine, farmyard, becoming quite grassy and fruity over time (tangerine, orange and cooked fruits from the orchards). Slightly aromatic as well. Diluted, it becomes rather grassy and slightly herbal, with some chamomile. The finish is long, waxy, mineral, quite grassy and malty, citric, slightly peppery and mustardy, with some peat and mineral smoke, diesel oil, light farmy flavours and some cooked fruits. Impression: An excellent Clynelish, mineral and rather smoky and peaty, with some pepper and nice smooth fruity flavours. Seemed more peaty than the other 12 YO 56.9% I tasted so far. Maybe not the easiest Clynelish, but most enjoyable and one to savour. Thank you very much Enrico! Nose: Very aromatic, smoky, complex, intense, well-balanced, grassy, dry, resinous, slightly mineral, on heather honey, peat smoke, aromatic herbs, heather and some oil. Very good! Taste: Grassy to very grassy, smoky, mineral, aromatic to very aromatic, mineral, zesty, on oil, candied oranges and tangerines, heather honey, aromatic herbs (including thyme), peat smoke and some cocoa. Diluted, it becomes drier, more aromatic, with some ginger, pepper and liquorice. The finish is medium to long, intense, rich, grassy, aromatic to very aromatic, smoky, slightly zesty and nutty, on heather, dry smoke, and some peat smoke. Diluted, it becomes slightly meaty. Impression: An excellent old style of Highland Park, rather aromatic, with an old style of rather dry peat smoke and a very pleasant complexity. Charming. Thank you Benjamin. Nose: Mellow, smooth, slightly aromatic, floral, smoky and mineral, with some tropical fruits, peat smoke, heather honey and cold ashes. Taste: Mineral, dry, grassy to very grassy, smoky, slightly salty and woody, on peat smoke, dried, candied and tropical fruits, some slightly aromatic and austere herbs, orange peel and heather honey. 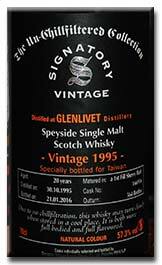 Impression: A very good and complex Glenlivet, quite peaty, with nice dry sherry flavours, some tropical fruits and light woody flavours. Nose: Smoky, aromatic, slightly peaty, rich, rather mineral, grassy, slightly floral, on peat smoke, some honey, dry and cold peat smoke, tangerine, some orange and tropical fruits. Very good. Taste: Smooth, light, grassy, slightly floral and fruity, on tangerine, peat smoke, tropical fruits, papaya, orange, some spices and leather. The finish is medium, spicy, mineral, slightly grassy and floral, with some peat smoke, tangerine, tropical fruits and leather. Slightly weak. 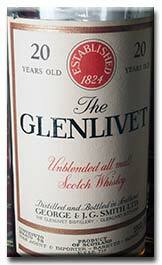 Impression: A very good old fashioned Glenlivet, rather smoky, on dry peat smoke and rather grassy. 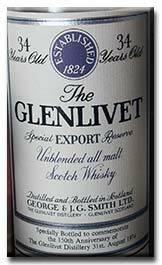 I like very much this old style of Glenlivet. Seemed weaker than 45.7%. Thank you Giovanni. Nose: Intense, spicy, oaky, bold, fruity, floral, on vanilla, some jasmine, orchard’s fruits, blackcurrant, other berries, melon and Mirabelle. Taste: Smooth, intense, rich, spicy, creamy and bold, on blackcurrant, honey orchard’s fruit, yellow fruits, melon, Mirabelle, vanilla and some banana. The finish is medium to long, bold, round to very round, creamy, malty, orchard’s fruits, blackcurrant, some banana and redcurrants. Diluted, it becomes more fruity and on berries, and initially, quite spicy. Impression: A surprising and good Irish whisk(e)y, malty, bold, intense and spicy, quite oaky and becoming more fruity over time. I enjoyed it and fairly priced (99 euros). Distilled near the “Northern Irish “border. Nose: Very smooth and fruity, elegant, on passion fruits, mango, other exotic fruits, as well as light flavours of blackcurrant and peach. Lovely intense tropical fruit flavours. Taste: Smooth to very smooth, very fruity, complex, elegant, lots of exotics fruits, pink grapefruit, some banana, mango and blackcurrant. Excellent. Diluted, it becomes more on lychees. The finish is medium to long, very smooth, complex, with delicious tropical fruits, lots of lychees, on banana, mango and some blackcurrants. 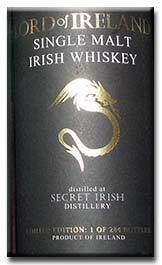 Impression: An excellent, very smooth, well-balanced and deliciously fruity Irish single malt. Nose: Very smooth, floral, malty to very malty, rich, thick to very thick, round, syrupy, on red berries, leather, sultana, beeswax and candied fruits. Taste: Very winey, smooth to very smooth, floral, thick, syrupy, on fudge, toffee, lots of sultanas, grapes, a zest of orange and some treacle. The finish is medium, very winey, thick, syrupy to very syrupy, floral, malty, on raisins, treacle, sultanas, cinnamon, nutmeg, some cloves, berries, honey and fudge. Impression: A very thick, syrupy and winey Arran, with some fudge. I do not recall having tasting a whisky with such strong winey flavours of sherry. It taste like a mixture of whisky and sherry (wine). Nose: Floral, smooth to very smooth, mellow, grassy, fruity, on melon, tangerine, soft spices, cinnamon, some nutmeg and fudge. Taste: Light, floral to very floral, rich, juicy, on light fruity flavours, orange, tangerine, some exotic fruits and various spicy flavours. Rather complex and with some berries. Diluted, it becomes spicier and slightly rubbery, with a hint of smoke. The finish is medium, spicy to very spicy, floral, rich, fruity, on tangerine, various spices, tangerine, some honey and berries. Diluted, it becomes slightly tannic. 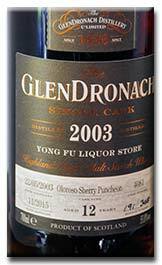 Impression: A good, floral and rich Glenfarclas, with light juicy and fruity flavours, and an underlying spiciness. Nose: Smooth, slightly salty, maritime and smoky, with just a touch of peat, some malt, dough, seaweeds, apples, mint and tobacco. Taste: Spicy to very spicy, very peppery, gingery, malty, intense, slightly creamy, on apples, some seaweeds, tobacco, vanilla and a touch of nutmeg. The finish is medium, spicy, and peppery to very peppery, on ginger, orchards fruits, tobacco, some mint, vanilla and orchard’s fruits. Rather complex and slightly maritime. Impression: The first official unpeated Ardbeg. Very spicy (peppery), rather complex and with a light maritime influence. Very good and much better than the Blasda. More complex than the Kildalton 46%. Thank you Enrico for your help. 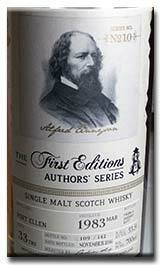 Nose: Very intense, smoky, peaty, maritime and oaky, on toasted wood, burnt wood, seaweeds, tar, charcoal and vanilla. Slightly young. Taste: Young, very smoky, salty, maritime, peaty, on iodine, disinfectant, burnt wood, ashes, tar, some cinnamon, seaweeds, bacon, nuts and cocoa. Diluted, it becomes very minty. The finish is medium, young, maritime to very maritime, oaky, tarry, oily, slightly nutty, on tar rope, seaweeds, peat smoke, iodine, burnt wood, some tobacco and mint. 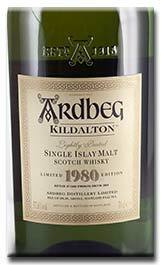 Impression: A very intense and smoky Ardbeg, quite oaky and rather, young, with pleasant minty and maritime flavours. Nose: Very smooth, malty, floral and on treacle. Very sherry. Taste: Floral, malty, spicy, chewy, heavily sherried, on pneumatics. Very big, thick and sherried. The finish is long to very long, chewy, very floral and on pneumatics. 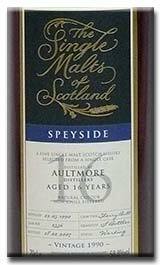 Impression: A very well-made Aultmore with huge sherry notes. A pure sherry monster. Nose: Very round, intense, immediately vegetal, with strong notes of rancio and some balsamic vinegar. Taste: Rich, spicy to very spicy, on rancio, some pinepapples, burnt rubber and sugar, strawberries, herbes de Provance, as well as some other fruity notes. Some sulphur as well. The finish is long, thick, intense and on the same flavours as on the palate. Nose: Intense, floral to very floral, malty, smooth, rather mellow, slightly fragrant, on orchard’s fruits, sultanas, vanilla, some soft fruity flavours and hay. Taste: Fresh, intense, floral to very floral, malty, slightly zesty, on vanilla, lemon curd, some sultanas, dry flowers and a few drops of fruit jams and tangerine. The finish is medium to long, fresh, oaky, floral to very floral, slightly fragrant, syrupy and fruity, on vanilla, some freshly cut flowers and grass, a slight bitterness and fragrance, some sultanas, dried fruit, fruit jam and hay. Diluted, it becomes more oaky, dry and bitter. Impression: The long maturation in bourbon casks gave a nice elegance, smoothness and mellowness to the whisky, with light and mellow fruity flavours, completed by rather intense oaky flavours, certainly coming from the final maturation in the ex-sherry cask. 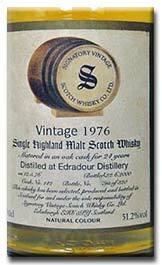 These oaky flavours hide well the age of this whisky, which seemed markedly younger. Not too convinced about the duration of the second maturation (9 months, probably better without or longer). 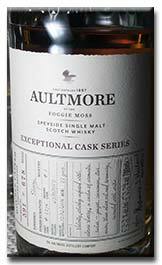 In any case, a very good Aultmore. Thank you Derek. Nose: Very clean, sharp, very grainy and with some peach. Taste: Very smooth and grainy, on cooked cereals (porridge) and some apricots. The finish is medium, very clean, strongly on cereals notes, on peach and apricots. Impression: A clean fresh and simple grain whisky. Nose: Very round, smooth, fruity, slightly floral, with some vanilla. Diluted, it becomes slightly sour and zesty. Taste: Smooth, very round, fruity, bold, on orange fizz and ripe tangerine. The finish is medium, sweet, zesty, fruity, with a slight sourness. Impression: A rather light, round and easy drinking Tamdhu. Nose: Young, oaky, slightly maritime, on toffee, sea brine, vanilla and some seaweed. Taste: Intense, young, oaky, quite spirity, on toffee, some coffee, sea brine, honey and a touch of seaweeds. Diluted, the alcohol remains rather present and the whisky becomes more monolithic. 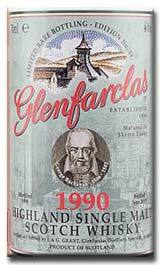 The finish is medium, oaky, slightly spicy and maritime, rather spirity, with some toffee, vanilla, ginger and seabrine. Impression: A young, rather spirity and oaky Bruichladdich. Tasted much younger than the 10 YO and the alcohol is well present. Nose: Rich, maritime, thick, slightly peaty, mellow, smooth, vegetal and tannic, with light notes of vegetal condiment (Maggi), old wood, balsamic vinegar and spices. 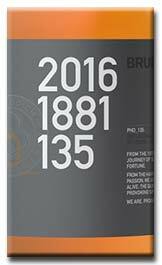 Impression: A very good intense Bruichladdich, on a dry sherry, rather woody, but not very astringent, with some nice old fashioned smoke. I like this style. Seemed lower than the 52% indicated. Nose: Smooth, mellow, fruity, slightly floral and sweet, on various spices, orange, tangerine, some candied fruits, vanilla, and honey. Taste: Light, smooth to very smooth, spicy to very spicy, oaky, floral, slightly fruity, on cinnamon, oak spices, some pepper, orchard’s fruits, honey, light aromatic and grassy flavours, as well as some vanilla and tangerine, and a hint of smoke. Diluted, it becomes weaker and slightly oakier. The finish is medium, very smooth, floral, slightly grassy and fruity, on ginger, tangerine, some orchard’s fruits, raisins and cinnamon. Impression: A good whisky, very smooth, oaky, slightly fruity, rather well balanced, easy drinking but not very complex. Nose: Mineral, very smooth and grassy, floral, spicy, on coal, dry peat smoke, dried fruits, sweet and juicy fruity flavours of tangerine, some tropical fruits, pencil shaving, tobacco and some aromatic herbs. Very complex and well balanced. Smoother, more mineral, smoky and aromatic than the OB. Taste: Very smooth, mellow, aromatic, grassy to very grassy, on dry peat smoke, coal, cold ashes, tangerine, orange, dry peat smoke, some eucalyptus and candied fruits. The finish is medium, very smooth, mellow, aromatic, slightly mineral, smoky and peaty, on tangerine, orange, old leather, some peat smoke, tannins, eucalyptus and cold ashes. Diluted, it becomes more spicy (peppery) and with some caramel. Impression: A very smooth, elegant single malt distilled almost 100 years ago. It has a nice dry and cold ash and peat smoke flavours, as well as some aromatic and slightly austere flavours. I enjoyed the style of whisky very much. Nose: Clean, waxy, mineral, on pencil shaving, some peat smoke, diesel smoke, almond, lemon and some tangerine. Given time, it becomes rather farmy, but also fruitier. 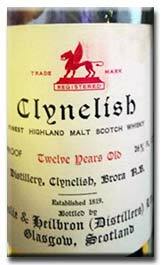 Speaks loud the old Clynelish and quite intense. Taste: Very waxy and mineral, citric to very citric, on old dry peat smoke, mineral and diesel oil, farmy flavours, lemon and some almonds. Very clean and sharp. Diluted, it becomes slightly more mineral and farmy. The finish is long, clean, sharp, waxy to very waxy, on dry mineral oil, dry peat smoke, some lemon peel, almonds and some mustard spiciness. Diluted, it becomes slightly more austere. 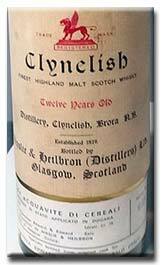 Impression: A typical old style Clynelish, waxy, mineral and rather citric, distilled at the old Brora distillery. Lovely and never disappoints. Nose: Thick, heavy to very heavy, nutty, vegetal, smoky, mineral, quite farmy, on yeast extract, walnuts. A very heavy and nutty style of King’s legend. More fruity and less vegetal and yeasty after some water has been added. Taste: Very heavy, thick, nutty, vegetal to very vegetal, mineral, slightly waxy, on rancio, walnuts, citrus and yeast extracts. Diluted, it becomes more pleasant, very fruity, with a barely noticeable yeasty and vegetal flavours. It becomes as well rounder, more mineral and slightly peaty. Very good. The finish is medium to long, thick, heavy, nutty, fruity, on rancio, balsamic vinegar, old mineral smoke, walnuts, some yeast extract, orange, tangerine and some dark fruits and berries. Slightly farmy as well. Diluted, it becomes very nicely grassy and fruity. Impression: What a beast! The colour is dark amber –walnut and the whisky thick like syrup. I already tried a King’s Legend Spring Cap, but it was pale like straw and the flavour profile was very different. While I was slightly struggling with it at full strength, probably due to the condensed flavours, adding some water changes markedly the flavour profile of its whisky. Diluted, it becomes very pleasant mineral, smoky, waxy and fruity, without any noticeably grain influence. 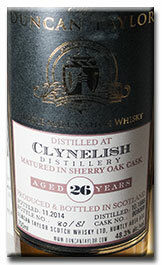 In addition, we can taste the influence of the old Clynelish whisky in it. A doppelganger that I prefer with water. Thank you Stéphane! 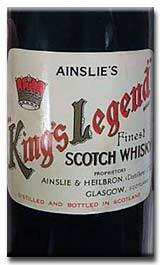 Still puzzled on why this bottling of King’s Legend was so dark. Maybe a batch from the 50s? Not for the faint hearted. Nose: Clean, oaky to very oaky, malty, dry, crispy, on vanilla and some hop. Taste: Spicy to very spicy, oaky to very oaky, malty, with lots of ginger, on vanilla, a touch of hops and a few drops of pears. The finish is short to medium, very spicy, slightly malty, on vanilla and some ginger. Impression: A clean, oaky and slightly malty Johnett, more intense and spicy than the previous bottling. Good, and some additional years of maturation would probably be beneficial. Nose: Winey, intense, slightly aromatic, on beer, apricots, nuts, grapes, spices, some vanilla and bitter herbal liqueur. Good and original. Taste: Sweet, malty, lightly, herbal, aromatic, winey, slightly grassy, on hops, nuts, grapes, cloves, aromatic and slightly bitter herbs. The finish is medium, malty, green, nutty, winey, on hops, cloves, tannins, some apricots and grapes. 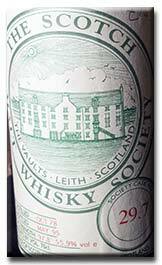 Nose: Peaty, mellow, very complex, well balanced, maritime to very maritime, smoky, on oysters, seaweeds, peat smoke, ashes, tar, some dried fruits, tangerine and camphor. 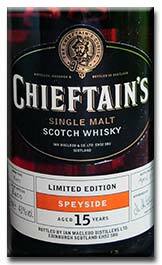 Taste: Intense, mellow to very mellow, very maritime, smoky, peaty, rich, slightly salty, on seaweeds, peat smoke, orange, tangerine, some leather, ashes, tar, candied fruits and sea salt. The finish is very long, maritime, smoky, peaty, maritime to very maritime, mellow to very mellow, salty, slightly medicinal, on citrus, seaweeds, tobacco quid, ashes, peat smoke, tar, tangerine, orange, leather, some camphor and ashes. Impression: An excellent peaty and intense Port Ellen, with a nice mellowness and a nice dry sherry influence well integrated with the peat smoke and maritime flavours. Dangerously drinkable. Nose: Round to very round, mellow, maritime, peaty, on quince, seaweeds, peat smoke, some tangerine, leather, light floral flavours, ashes, a touch of tobacco and cocoa. Taste: Intense, spicy to very spicy, very citric, peaty, maritime, tarry to very tarry, on ashes, tar, orange, candied fruits, grapefruits, peat smoke, melon and some light red berries flavours. Diluted, it becomes drier. The finish is long, dry, tarry, ashy, rather sooty and maritime, on peat smoke, tar, ashes, soot, red berries, citrus, oranges, some leather, liquorice and camphor. Impression: The nose was very intense and rather clean, less complex than the First Editions, but it gained a lot of intensity on the palate, citric, medicinal and tarry, with some red berries and leather suggesting a maturation in a sherry cask. Excellent and rather different than the Authors' Series (less complex). Nose: Very rich and fruity, intense, fruity, thick, juicy to very juicy, on raisins, sultanas, figs, dried fruits, berries, some papaya and exotic fruits. A whisky with excellent fruity flavours. Taste: Rich, sweet, juicy, thick, syrupy, fruity to very fruity, on exotic fruits, tangerine, figs, orange, raisins, sultanas, red berries and treacle. The finish is medium to long, heavy, thick, rich, juicy, fruity, on grapes, sultanas, treacle, dark chocolate and some nuts. 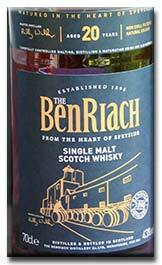 Impression: An excellent rich, thick, intense and syrupy BenRiach, Lovely. Nose: Floral to very floral, on varnish, vanilla, some hay, straw, vanilla, gooseberries and a hint of smoke. Taste: Rich, floral to very floral, fragrant to very fragrant, round to very round, smooth, mellow, on gooseberries, some honey, heather, melon and a hint of tangerine. The finish is medium, floral, and fragrant to very fragrant, bitter, on hay, straw, some dry tobacco, vanilla, melon and a hint of tangerine and gooseberries. 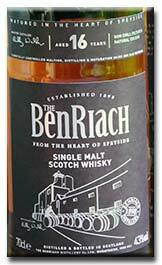 Impression: A particularly floral and fragrant Benriach, with a nice roundness on the palate, while becoming bitterer on the finish. 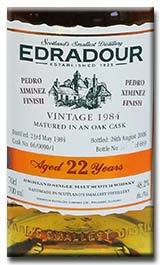 Nose: Smoky to very smoky, smooth, peaty, slightly malty and vegetal, on burnt rubber, orange, marmalade and some cocoa. Taste: Salty, floral, smoky, slightly peaty, on coconut, burnt rubber, caramel, marmalade, cacao and some red berries. Diluted, it becomes slightly bitter and more rubbery. The finish is medium to long, floral, slightly mineral and smoky, on cocoa, marmalade, red berries, caramel, and some cocoa. Diluted, it becomes slightly rubbery. 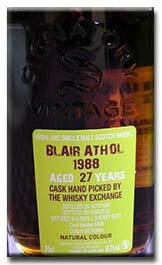 Impression: A rather charming and rather smoky Blair Athol, with a rather dry sherry influence, as well as some burnt rubber. Taste: Light, fragrant, slightly oaky, austere, aromatic and grassy. The finish is medium, oaky, slightly austere, aromatic and fragrant, with some liquorice roots and a hint of smoke. Diluted, it becomes on dry tobacco. 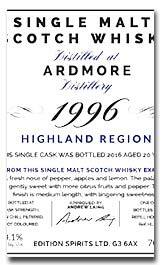 Impression: A good Ardmore that probably lost its peatiness due to its long maturation while retaining its aromatic and austere flavours. Nose: Very smooth, rich, slightly fragrant, on exotic wood, lacquer, candied orange and cinnamon. Taste: Smooth to very smooth, floral, on exotic wood, beeswax, jasmine, plums, some incense, candied orange, sultanas, lacquer, sandalwood, tangerine, spices, nutmeg and a hint of marzipan. The finish is long to very long, smooth, floral, rich, elegant and complex, on exotic wood, high grade soft leather, lacquer, some cinnamon, orange, tangerine, nutmeg and spiced bread. 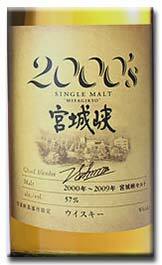 Impression: An excellent smooth sherried, elegant and complex Karuizawa, floral, on soft spices and lacquer. 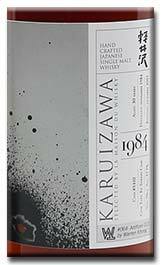 A very high quality Karuizawa. Thank you Fabrice. Nose: Farmy to very farmy, mineral, sweet, slightly spicy, on sea brine, a light peat smoke, cooked and dried fruits, soft spices and some worn leather. Very good. Taste: Salty to very salty, farmy, spicy, mustardy to very mustardy, waxy, on cooked fruits, sea brine, toffee, citrus (some lemon and slightly bitter orange peel), some grapes and cocoa. The finish is medium, bitter, waxy, mustardy, slightly salty, on sea brine, citrus, toffee, some roasted nuts, bitter orange and light farmy flavours. Diluted, it becomes morefarmy and slightly aromatic. 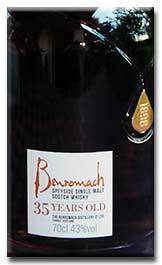 Impression: A rather farmy and salty expression of Brora, with some bitter citrus flavours and a fair dose of toffee. Nose: Very peaty, maritime, tarry, intense, complex, smoky, with some seaweeds, kippers, orange, tangerine, old tar and some other sweet fruity flavours. Lovely. Taste: Dry, maritime, very peaty, intense and tarry, on liquorice, tar, red berries, seaweeds, peat smoke and some tangerine. The finish is very long, intense, peaty to very peaty, rather dry, maritime and with a mixture of dry and sweet sherry fruity flavours. Impression: A delicious intense, rich and very peaty Caol Ila. Simply excellent, well balanced and with a well integrated sherry influence, without any noticeable oakiness. Nose: Very peaty and tarry, quite dry, intense, maritime, on red berries, seaweeds, orange, tangerine, and other sweet sherry influence. Well balanced and very enjoyable. Taste: Very intense, dry, peaty, smoky, salty, maritime, on seaweeds, liquorice roots, liquid tar, some red berries, tangerine, dried fruits and some orange. The finish is long, peaty, smoky, and maritime, on dried fruits, seaweeds, liquorice roots and some red berries and cocoa. Diluted, it becomes drier and more on liquorice roots. 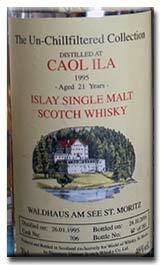 Impression: A very good Caol Ila, quite rooty and on dried fruits. 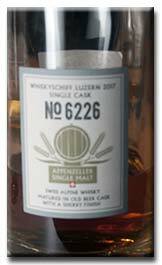 Säntis sherry cask finish for Whiskyschiff Luzern 2017, OB, 48%, B:2017, cask 6226. Price: (70 cl equivalent). Nose: Smoky, quite peaty, dry, and ashy, lots of dry tar, sultanas, figs, dates, other dry fruits, some rubber and hops. Taste: Dry to very dry, ashy to very ashy, peaty, on lots of dry tar and asphalt, tar rope, burnt wood, some rubber and dried fruits. The finish is medium to long, tarry, ashy, smoky, peaty, on ham cooked in asphalt, smoked meat and some burnt rubber. Impression: A good Säntis, quite peaty and smoky, with an original smokiness reminding me of ham cooked in asphalt, and some burnt rubber. A rather unique and pleasant whisky. Nose: Very smooth, round, grainy, floral, slightly oaky, on cinnamon, orange, tangerine, peach, nutmeg and some varnish. Taste: Smooth, spicy, oaky, and peppery, on orange, cinnamon, bitter orange, pecan nuts, nutmeg and some toasted wood. The finish is medium, smooth, spicy, very peppery, on cinnamon, orange, tangerine, nutmeg, cinnamon and some peach. Impression: A whisky that taste like a rather peppery Bourbon. Matured for 5 years in an ex-beer cask and them matured for an extra 4 years in a Port Cask. The Port is rather discreet. Thank you Christine. Colour: Old gold Nose: Smoky, intense, on sea brine, vegetal condiment, toffee, fudge, some rubber, seaweeds, sea brine, tangerine, coconut and a hint of salt. Round and quite heavy. Taste: Salty, rich, oily, spicy, thick, chewy, on vegetal condiment, fudge, toffee, diesel smoke, some orange, marmalade, cinnamon, a touch of rubber and black tea. The finish is medium to long, on salted fudge, cinnamon, orange, some vegetal condiment, toffee and sea brine. Diluted, it becomes lighter and more salty. 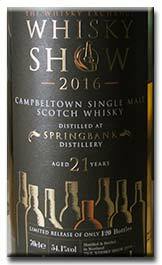 Impression: A good, round and coastal Springbank, with a rather thick and oily mouthfeel, various spices and a sherry influence combining toffee, fudge and some vegetal condiment. Well balanced. Thank you Christian D.
Nose: Light, mellow, smooth, slightly maritime, on sea brine, coconut, some smoke and light citric flavours. Taste: Salty, citric, slightly maritime, on fudge, coconut, some tangerine, smoke and a touch of seaweeds. The finish is medium to long, slightly citric with some coconut, tangerine and sea brine. 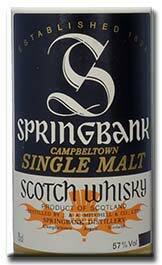 Impression: A very good, well-balanced Springbank, slightly maritime, with some coconut and sea brine. Nose: Very fresh, floral, slightly peaty, with some exotic wood, polished furniture, some varnish, a light wood smoke flavour as well as pears. 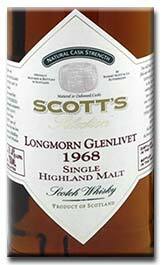 Taste: Very smoky, peaty, clean, spicy, on dry and floral peat, rich light spices and some tar. It reminds of a peated whisky from the Speyside. The finish is long, very dry and peaty, tarry, floral, with some liquorice. Impression: An elegant and heavily peated Miyagikyo with an interesting dry and floral peatiness, intense and austere, that I enjoyed very much. Nose: Light, fresh, on schnapps, mixture of apples, pears and distilled plums. Very clean, floral and with some varnish. Taste: Fresh, sweet, on pear juice and some floral and smoky notes. The finish is medium, sweet, clean, on pear juice and distilled plums. 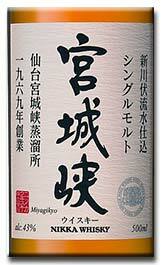 Impression: A clean, rather simple and sweet Miyagikyo that should work nice as a mixer or for the summer. Designed for drinking as mizuwary initially. Nose: Smooth to very smooth, rich, with some fruits from the orchards as well as some dark fruits. Richer and more complex than the NAS. Taste: Spicy, rather smoky and peaty, slightly ashy and on pear juice. Rather dry. 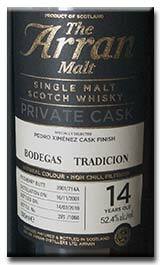 The finish is medium to long, dry, medium peated and smoky, with some soja sauce and wood. Impression: A good rich and spicy Miyagikyo, with some rather harsh oaky influence. Nose: Smooth, rich, round, mellow, floral, on almond, rose, jasmine, lots of ripe fruits (orange, pineapples and some dried papaya) and some pastries. Taste: Smooth, rich, floral to very floral, on ripe and tinned pineapples, a light dry peat smoke, almonds, some rose, jasmine and some sea brine. Complex, elegant and well balanced. The finish is long, spicy, smooth, floral, slightly fragrant, with some rose water, jasmine, almond and slight peppery and peaty flavours. 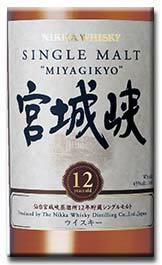 Impression: A very good, subtle, elegant and complex Miyagikyo, with light peaty flavours. Nose: Smooth, slightly vegetal, fragrant and rubbery, wit h some yeast extract, almond and on fudge and toffee. Very different from the 1980s. Taste: Rich, spicy, smooth, intense to very intense, floral, rubbery, and slightly fragrant, on toffee, fudge and burnt rubber. The finish is medium and on the same flavours. Impression: A whisky dominated by the rubber, with pronounced floral flavours and fudge. Nose: Fresh, floral to very floral, very smooth, with some lacquer and varnish, jasmine and rose. Taste: Young, fresh, floral to very floral, very smooth, with a slight spiciness, some pineapples, orange and tangerine, as well as some almonds, pastries and a light smokiness. The finish is medium and on the same flavours. Impression: A charming young Miyagikyo, quite fruity, nicely smooth and complex. Very enjoyable. Nose: Smooth to very smooth, young, slightly oily and dusty, on vanilla, with some smoke and ginger. Taste: Very smooth, young, slightly dusty and oily, with some smoke, sea brine, vanilla and light creamy flavours. The finish is short to medium, very smooth (new make), young, with some sea brine, vanilla, a touch of fudge and orchards fruits. Impression: A very smooth Wolfburn that taste younger than the previous releases. The influence of the ex-bourbon cask is evident. Nose: Oaky, intense to very intense, spicy (white pepper and ginger), clean, slightly rough and with strong vanilla flavours. Taste: Clean, spicy, oaky, slightly mineral and smoky, on ginger, honey, cocoa, vanilla, some tannin, white pepper and a light fragrance. Becomes more fruity (melon, quince and some Mirabelle) with some water. The finish is medium, oaky, clean, slightly waxy, dry, bitter and aromatic, on candied ginger, some vanilla, toffee and light slightly bitter and aromatic flavours. Diluted, it becomes slightly more on the toffee. Impression: A good, clean and slightly oaky expression of Glen Garioch, with strong spicy flavours and a slight bitterness. Nose: Light, floral to very floral, mellow, on cinnamon, treacle, some leather, fruits (including apples), cloves, nutmeg, brambleberries and a few drops of honey. Lighter and more syrupy than the 1979. Taste: Light, oaky, floral, slightly dry and woody, on treacle, tannins, cloves, nutmeg, some rubber and brambleberries. The finish is medium, dry, and tannic, on brambleberries, cloves, leather, black berries and a touch of rubber. 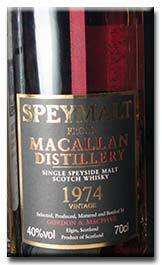 Impression: A rather light, dry and tannic version of Macallan. Less complex, rich and pleasant than the 1979. 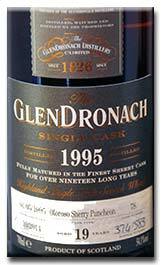 Nose: Floral to very floral, mellow, rich, thick, on treacle, dried fruits and leather. Less spicy and more round (treacle) than the 1979. 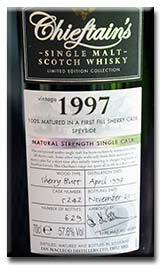 Taste: Smooth, floral, smoky, fruity, juicy, slightly peaty, on tangerine, orange, various spices and some blackberries juice. The finish is medium to long, very smooth, juicy, fruity, spicy, moderately rich, with some berries, leather, orange, tangerine and a touch of smoke. Impression: The nose was smoother than the 1979, but rather close, while on the palate it is surprisingly sweet, fruity and juicy. Very good and refreshing. A different style than the 1979 but equally good. 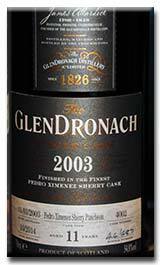 Taste: Rich to very rich, thick, floral, slightly dry, tannic and metallic, on treacle, cinnamon, some honey, spearmint, tangerine, orange, cloves and blackcurrant. Diluted, it becomes more spicy, peppery and dryer. The finish is medium to long, thick, chewy, dry, tannic, floral, on cinnamon, treacle, cloves, some pepper, orange, tangerine, blackberries and leather. Impression: Although it was bottled only at 40%, this Macallan is very rich, spicy, and intense, on treacle and with some leather. Very good and juicy. Taste: Rich, spicy, juicy, slightly young, with some white pepper, green apples, berries, tangerine and a touch of orange. The finish is medium, spicy, floral to very floral, on white pepper, green apples, berries, some tangerine and lime blossom berries. Impression: A good, young, complex and rather rich Macallan. Pleasant to drink. Thank you Martin! Nose: Rich, floral, intense, spicy, nutty, complex, on leather, tannins, treacle, cinnamon, nutmeg, dried fruits, walnuts, sultanas, dried plums, cocoa and some red berries. Very good. Taste: Smooth, mellow, spicy, floral to very floral, slightly fragrant and resinous, on treacle, honey, toffee, sultanas, dates, dried plums, leather, tannins, cinnamon sticks, orange, some tangerine, cocoa, walnuts and dark chocolate. With a hint of eucalyptus. The finish is medium to long, floral, mellow, quite syrupy, rich and thick, on treacle, old leather, milk and dark chocolate, plums, some wood tannins, strawberries, cinnamon and toffee. Diluted, it becomes quite fruity, but also slightly more bitter, tannic and on walnuts. 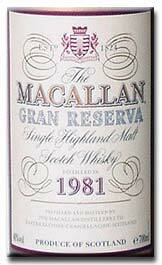 Impression: A very good Macallan, rich, heavily sherried, on various spices, dried fruits and some red berries. 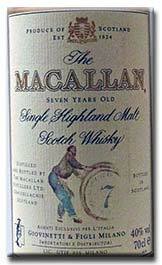 It is good to be able to taste some good old Macallan matured in excellent sherry casks. Nose: Mineral, smoky, peaty, with on linseed oil, rusted ion and strong notes of the red-iron painting used in Sweden to paint the wooden houses. Special, but I love this smell. Taste: Rich, intense to very intense, oily to very oily, farmy, maritime, on linseed oil, rusted iron, red-iron paiting and coconuts. The finish is medium to long, intense, mineral, smoky, maritime, with some oysters, on rusted iron, coconut and some salt. 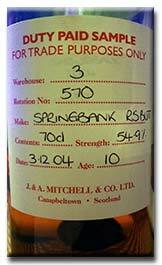 Impression: A rather unique Springbank with strong notes of rusted iron, linseed oil, with rather farmy and maritime influence. I love this style. Nose: Round, smooth, mellow to very mellow, smoky, slightly maritime and peaty, on passion fruits, coconut, banana and some vanilla custard. Slightly drier and less fruity than the Springbank Local Barley from that vintage. 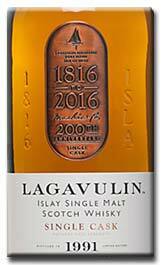 Smooth: Round, spicy, salty, maritime, fruity, with some peat smoke, spices, a touch of salt and pepper. 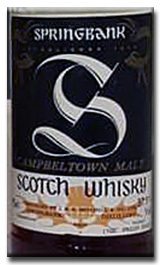 The finish is medium to long, smoky, maritime, slightly salty, bitter, dry and oaky, on citrus, some wood extract and with some peat smoke and diesel smoke. 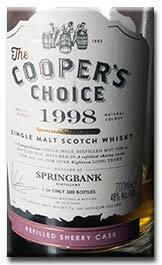 Impression: A very good Springbank, complex and rather fruity, but also with the wood starting to showing off. Nose: Malty, oily, slightly maritime, on vanilla, with some ripe clementine, a light fragrance, crushed barley, banana and a touch of sea salt and honey. Taste: Smooth, malty, creamy, bold, slightly oily, on vanilla, some tinned pineapples, melon, honey, banana, green apples and a light saltiness. 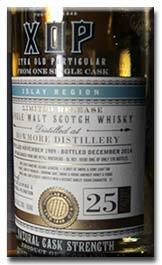 The finish is medium, bold, slightly oily, creamy, salty and maritime, on vanilla, some nuts, ginger, diesel and peat smoke. 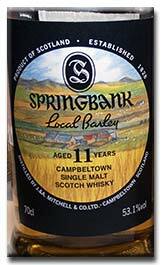 Impression: A charming and different Springbank, very bold and more malty than the regular Springbank, with light nutty and spicy flavours. Nose: Very smooth, mellow, rich, sweet to very sweet, fruity, slightly mineral and smoky, well balanced. Very good. Taste: Mineral, smoky, salty, sweet, slightly maritime and fruity, on sultanas, leather, some cocoa, mineral peat smoke, toffee, grapes and light aromatic and bitter herbs. The finish is medium, sweet, nutty, thick, sugary, quite resinous, on sultanas, grape sugar, other sweet to very sweet fruits, some salt and a light maritime influence. Diluted, it becomes saltier, more mineral, with stronger sea breeze and tobacco flavours. 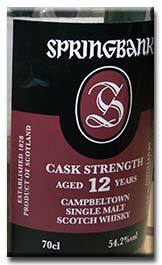 Impression: A good smooth, mellow and sweet fruity Springbank, becoming quite salty once some water has been added. 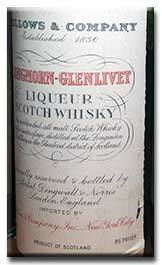 Nose: Rubbery to very rubbery, salty, maritime, malty, slightly smoky and maritime, with some mixed fruits jam. Taste: Rubbery to very rubbery, salty, maritime, slightly medicinal, on juicy fruits and fruit jam, some cinnamon and nutmeg. The finish is medium, salty, maritime, oily, on rubber and fruit jam. Impression: A whisky dominated by the burnt rubber. Not one for me, sorry. Nose: Smooth to very smooth, sweet-sugary, mineral, slightly maritime, winey and earthy, on grapes, mineral and slightly maritime smoke, flint stone and a touch of heather and leather. Very good. Impression: A whisky with a very good nose, mineral, slightly smoky and with a nice sweetness-sugariness, with a well integrated port influence, becoming quite thick and syrupy on the finish. 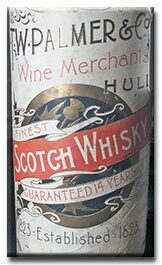 Nose: Maritime, salty, oily to very oily, rather complex, on diesel smoke, harbour-like flavours, slightly mineral, smoky and peaty, with a touch of citrus, including some tangerine. Taste: Oaky, oily, intense to very intense, spicy, gingery, slightly young, salty, earthy, sweet and fruity, with some dried fruits, peat smoke, old diesel smoke, some vanilla, honey, banana, quince and a touch of candied oranges and tangerine. The finish is long, intense, complex, quite salty and maritime, slightly smooth, earthy, sweet (young), and oily, on dusty old peat smoke as you can in some old Campbletown single malts, diesel smoke, some ginger, old seaweeds, citrus, tangerine, nuts and ginger. 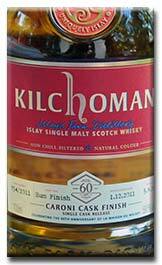 Impression: A vatting of 50 % bourbon and 50% sherry cask made with lightly peated Kilkerran distilled in 2007 and 2008. It is very good, complex, oily and slightly dusty that should not disappoint the fans of Kilkerran. It reminds me of the old Campbletown single malts. Very good. Not sure if the information received was correct, but if so, the sherry influence was very discreet. Nose: Very smooth, floral to very floral, on hay, some cooked apples, apples, peach, melon, slightly grassy flavours, almonds and vanilla. Taste: Light, fresh, floral, on hay, dry flowers, apples, freshly cut flowers and grass and some vanilla. Diluted, it becomes more on dry flowers and green apples. The finish is medium, dry, and slightly malty, with lots of dry flowers, on drying grass, hay, apples, vanilla and some toffee. Nose: Very smooth, floral, quite milky, on sweet and mellow fruity flavours, dough, some white chocolate, almonds, light aromatic herbs and cooked apples. Taste: Floral, smooth to very smooth, with light sweet fruity and grassy flavours, some tinned peaches and apricots, some melon and honey. Diluted, it becomes more grassy, with a hint of smoke. The finish is medium, floral to very floral, grassy, sweet, fruity, on cooked apples, some peach, tangerine, melon and honeydew melon. Diluted, it becomes slightly bitter and citric and on tobacco leaves. 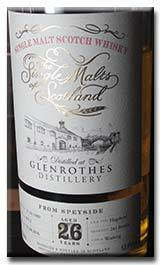 Impression: A very good Glenrothes, with a nice sweetness and more fruity than the Single Malts of Scotland. 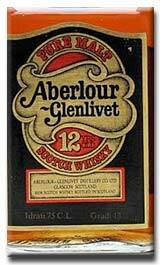 Nose: Smoky, salty to very salty, maritime to very maritime, peaty, smoky, on tar, soot, seaweeds, vanilla and loads of oak. Taste: Peaty, smoky to very smoky, oaky to very oaky, salty to very salty, maritime, on liquorice roots, seaweeds, tar, ashes and a slight sweetness and some citrus. The finish is medium, very oaky, salty, and maritime to very maritime, on iodine, peat smoke, liquorice, some citrus and a touch of sweetness and leather. Diluted, it becomes thinner, more bitter and with stronger liquorice flavours. Impression: A very oaky, smoky and maritime Laphroaig, with a light sweetness. It is rather weak and seems quite young. 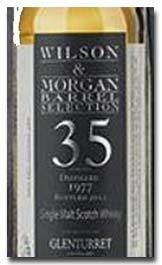 A whisky that might have suffered from a reduction to 40%. 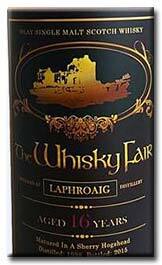 I thing Laphroaig should stop bottling their whiskies at less that 43 or 45%, as they tasted quite thin and diluted. 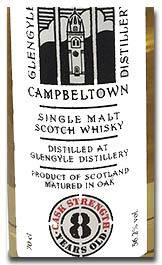 Nose: Sweet, peaty, very oaky and smoky, peaty, intense, on sea brine, lemon peel and a touch of fresh mango and guava. Taste: Oaky, with very strong salted liquorice flavours, pepper, peat smoke, sea salt, sea brine, iodine and slightly syrupy Port flavours. 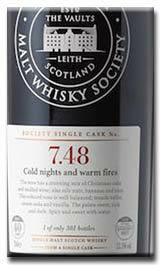 The finish is medium, extremely oaky, dry, smoky, peaty, on peat smoke, a slight sweetness and load of salted liquorice. Unpleasant. Impression: A rather peculiar Laphroaig, that taste like oak and liquorice infused with peat smoke. The oakiness is dominating the spirit and the Port creates does not help to sweeten it, but to create more unbalanced flavours. Better to keep your bottle closed for your collection. I cannot remember when I have tasted such an oaky whisky, if ever. Is this a “very modern” whisky? Nose: Round, floral, fruity, on honey, red berries (mainly ripe and juicy strawberries and raspberries), some heater, tangerine, orange and light aromatic herbs. Taste: Rich, smooth, floral, round, slightly spicy and grassy, on juicy oranges and tangerines, vanilla custard, honey, light aromatic herbs, some heather, leather, cinnamon, cloves, a few dried fruits and red berries. The finish is medium, malty, floral, grassy, on heather honey, some aromatic herbs, juicy tangerine and orange, as well as some light tannins, leather and cinnamon sticks. There is a short retro-olfaction on cloves and some roasted coffee. 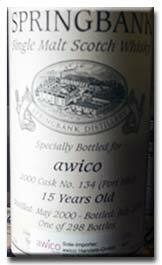 Impression: A very good, smooth, round, well-balanced grassy-floral anCnoc, with a juicy sherry influence. Nose: Intense, oaky, malty, spicy, slightly smoky, with some humus, orchard’s fruits, vanilla and a few drops of quince jelly. Taste: Rich, juicy, oaky, intense, malty, on honey, cooked orchards fruits, vanilla, some peach, cane sugar and some citrus. Spicy (pepper and some chilli). The finish is medium to long, very spicy and peppery, on vanilla, with some chilli, cayenne pepper, citrus, dry tobacco leaves, green apples, cinnamon and black tea. 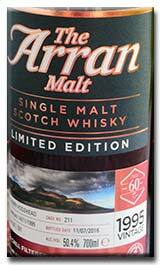 Impression: The maturation in quarter cask provides lots of spices to this Arran, on vanilla, pepper and some chilli. Bottled at full strength, it is very intense and rather different from the core range and less sweet and fruity, as a counterpart. Nose: Sharp, intense, “chiselled”, on dry, aromatic and slightly austere peat smoke, nice floral and malty flavours. 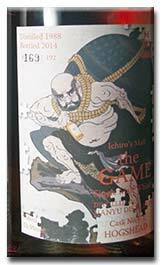 A very pleasant nose, with a crisp and chiselled peat smoke, like if the aromas were cut with a Damascus Japanese blade. Taste: Chiselled, intense, peaty, slightly tarry, with some curry, pollen, heather, light floral aromas, some rose, almonds, honey, gooseberries, and vanilla custard (milky). 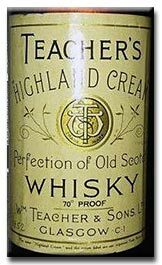 The finish is rather long, quite peaty and milky, slightly floral, austere and aromatic, with some tar, honey, vanilla custard, gooseberries, some iodine and tar. 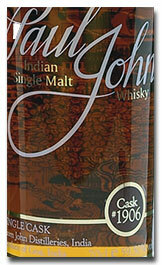 Impression: Tasted together with the Stack, I was impressed by the intensity and sharpness of the whisky. While it is “only” 11 years old, the combination of complexity and intensity is impressive. The ppm are lower than the Stack, but they appear more intense and complex. I love this style of whisky. A fine selection from la Maison du Whisky for their 60th Birthday. Nose: Aromatic, malty, sweet-smooth, slightly grassy, on aromatic and tarry peat smoke, some liquid tar, aromatic herbs, honey and sweet-smooth notes of new make (just a few and light). Taste: Light, fresh, floral, slightly grassy and maritime, on iodine, with a light sweetness, some tar, seaweeds, a touch of heather and aromatic herbs. The finish is rather short and sweet, on iodine, tar, some aromatic peat smoke, slight grassy notes and some heather and floral notes as well. 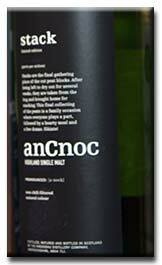 Impression: A moderately peaty anCnoc, with a rather aromatic peat smoke. 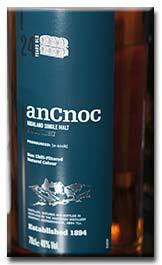 It seemed also more maritime and on iodine than the previous releases of peated anCnoc, while it retains some sweetness of a young whisky. Nose: Round, smooth, mellow, malty, with a nice smokiness. Taste: Very smooth, juicy, with nice mellow fruity notes, on juicy oak, some malt, tobacco leaves and a hint of grassy notes. The finish is medium to long, grassy, mellow, with some nice sweet fruity notes. Impression: A very good satisfying daily dram that should appeal to a large audience. Nose: Vegetal, slightly yeasty, round, with vegetal condiment, nutmeg, some apples and honey. Taste: Very spicy, rich, intense, oaky, very floral, slightly fragrant, with some humus, nuts and green apples. The finish is medium, resinous to very resinous, slightly humic, floral, spicy, on apples and some honey. 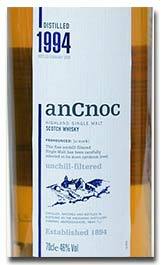 Impression: A spicy, resinous Knockdhu (AnCnoc), floral and with quite some humus. Nose: Very mellow, intense, smooth, with lots of cooked cereals, apricots, peach, vanilla, some varnish and cinnamon. Very pleasant. Taste: Rich, floral, fragrant, on cooked cereals, some peach, apricots, coconut, corn syrup, cinnamon, cream and vanilla. The finish is medium to long, creamy, very mellow, smooth, soft, slightly milky, on coconuts, some peach, apricots, vanilla, cinnamon and maize. Impression: A very mellow and slightly soft grain whisky, complex and without any bitterness or woodiness that you would expect from such an old whisky. 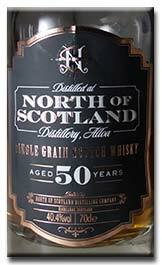 As The Whisky Exchange now owns the North of Scotland brand, this could considered as an official bottling. Nose: Smooth, mellow, slightly waxy, with some honey, fresh floral flavours, some lime blossom and pollen. Rather subtle. Taste: Starchy, floral, fragrant, on porridge, peach, apricots, cinnamon, orange, and some treacle. The finish is medium to long, light, fresh, fragrant, slightly grassy, on treacle, porridge, peach, apricots, cinnamon, nutmeg, some honey and a touch of tangerine. 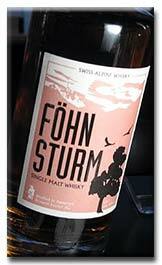 Impression: A very good and floral grain whisky, with nice fruity flavours. Tasted blind. Nose: Spicy, malty, with some toffee, artichoke, a touch of rubber and some sea brine. Taste: Floral, fragrant, slightly nutty, on varnish, vanilla, oak extract, some hops, honeycomb and a touch of toffee and sea brine. The finish is medium to long, slightly salty and smoky, with some fudge, vanilla, dried fruits, sultanas, cinnamon and sea brine. Impression: A very good, well-balanced whisky, with some fudge and a well integrated sea brine influence. Nose: Very smooth, rich, complex, on cooked cereals, ripe peach and apricots, vanilla, some cinnamon and vanilla custard. Smells like an old and mellow bourbon. Very good. Taste: Very smooth, light, starchy, on cooked cereals (mainly corn), peach, apricots, some cinnamon, and a light fragrance. The finish is medium, very smooth, on cooked cereals, peach, apricots, warm corn, some vanilla and cinnamon. 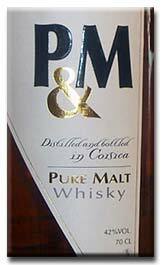 Impression: A good smooth and mellow whisky, with a profile close to fine and old mellow bourbon. Nose: Very smooth, mellow, rather grassy, slightly grainy and round, on apricots and vanilla. Taste: Grassy, slightly rough and oaky, on vanilla, apricots, peach, porridge with some treacle and maple syrup. The finish is medium, grainy, grassy, slightly syrupy, on vanilla, apricots and coconuts. Impression: A very pleasant smooth, grainy and mellow Garnheath that I enjoyed better than the previous bottling for LMDW. From a lost grain distillery. Nose: Very smooth, grainy, malty, with some apricots, apple and citrus. Becoming more complex and richer over time. Taste: Very grainy, with lots of cooked cereals, slightly dusty, with some grist, apples, apricots, light floral and fragrant flavours, as well as some nutmeg and maple syrup. The finish is medium, round, mellow, and very smooth, with some maple syrup, on nutmeg, pecan nuts, apricots, apples and a touch of citrus. Impression: A good mellow and smooth Invergordon, with nice notes of nutmeg and pecan nuts. Nose: Very peaty, tarry and smoky, maritime, dry, on iodine, some hemp rope and seaweeds. 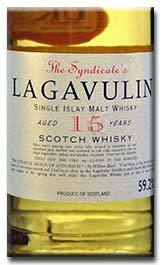 Taste: Peaty to very peaty, maritime, on iodine, disinfectant, camphor, some spearmint, seaweeds, and a hint of vanilla. The finish is medium to long, peaty, smoky, maritime, medicinal, rather fresh, with some seaweeds, iodine, disinfectant and hint of spearmint. Impression: A peaty whisky, with a nice freshness, rather medicinal and light. Well done. A very good value whisky. Tasted blind. Nose: Smooth, complex, malty, on pollen and light, smooth and soft fruity flavours. Taste: Soft, slightly smoky, austere and citric flavours, on smoke peat, a hint of soot and ashes, as well as some quince, Mirabelle, cocoa and crème brulée. The finish is medium, slightly fragrant, bitter and sooty, on dry and slightly aromatic peat smoke, juniper, heather and a hint of liquorice roots. Impression: A dry, austere and smoky whisky with a hint of dry liquorice roots. 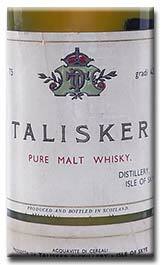 I am not so fond of this Port-influence Talisker. Nose: Very peaty, maritime, complex, slightly mellow, on seaweeds, some tar, peat smoke, a hint of citrus, some oak extracts and light medicinal flavours. Taste: Dry, oaky, peaty to very peaty, smoky, a few drops of fruits from the orchards, seaweeds, sea salt, some lemon, hemp rope and a touch of camphor and disinfectant. The finish is medium, maritime, slightly salty, peaty, smoky, oaky, with some camphor, tar and hemp rope. Diluted, it becomes slightly bitter (gentian) and on wet wood. 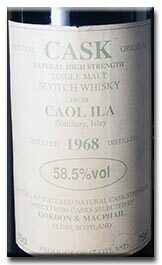 Impression: The nose is most pleasant, peaty and tarry, rather complex, becoming lighter, oakier and slightly bitter on the palate. Nose: Light, smoky, subtle, slightly smoky and peaty, with some sea salt, hemp rope and tar. 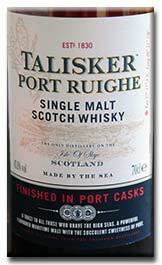 Taste: Tarry, salty, maritime, oaky, slightly spicy, with some camphor, light medicinal flavours. The finish is medium to long, very smoky, medicinal, light, oaky, maritime, slightly mellow, with some camphor, sea brine, tar and iodine. Impression: A good, mellow and maritime whisky, with a lingering medicinal flavour. Smokier and more oaky than the Storm. Made with heavily charred casks. 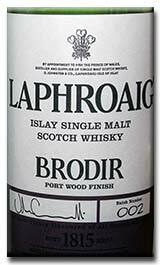 Nose: Peaty to very peaty, dry, tarry, ashy, maritime, with some iodine and seaweeds. 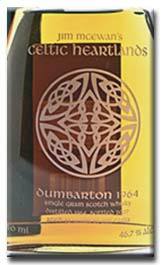 Taste: Smooth to very smooth, round, floral, rather sweet, peaty, smoky, salty and peppery.with some gentian, ashes, soot and light aromas of vanilla, dried fruits and heather. The finish is medium to long, with a combination of round, smooth and slightly floral flavours contrasting with a rather aromatic, dry and ashy peat smoke. 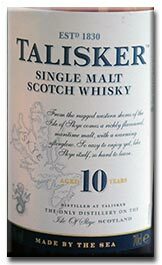 Impression: The Talisker 10 YO is a classic and remains of one my favourite standard single malt. Very good. Seems rounder than the earlier batches and less spicy/peppery. Nose: Smooth, mellow, floral, moderately fruity, slightly peaty, on vanilla, some vanilla custard, melon, and a hint of Mirabelle. Taste: Austere, slightly citric, grassy and round, quite fruity, on old peat smoke, heather, some honey, tangerine, a few drops of cream and a light acidic-sour touch. Very complex. The finish is long to very long, mellow, slightly dry, citric and austere, on aromatic peat smoke, some heather, quince, Mirabelle, vanilla and honey dew melon. Impression: As mellow, round and fruity as the 10 YO is peaty and spicy. I enjoyed it markedly better than the earlier version I tasted some years ago. Excellent and markedly different from the 10 YO. Tasted blind. Nose: Very fruity, on tropical fruits, some dried fruits, a complex and mellow peat smoke, plums, treacle, orange, tangerine, sea brine, seaweeds and a touch of aromatic flavours. More intense, complex and thicker than the Prestonfield 1965. Taste: Rich to very rich, very complex, fruity, well-balanced, slightly maritime and citric (pink grapefruit), moderately peaty, on mango, exotic fruits, some sea brine, sea salt, tangerine, orange, citrus, charcoal, berries and a hint of fudge. The finish is medium to long, rich, fruity, intense, slightly maritime, with some peat smoke, sea salt, a touch of worn leather, exotic fruits purée and juice, some pink grapefruits, charcoal, and a touch of aromatic herbs. With lingering and complex fruity flavours. Diluted, it become spicier, more aromatic and more on mango. Impression: An excellent, deliciously drinkable whisky that can be enjoyed at full strength. The balance between the fruity flavours, peat smoke and a slight maritime flavour is impressive. Nose: Mellow to very mellow, fruity to very fruity, on tropical fruits, some grapefruits, mango, guava and peat smoke. Taste: Mellow, very fruity, rather salty, maritime, and smoky, on exotic fruits, passion fruits, guava, mango, papaya, some pink grapefruit. The finish is medium to long, fruity, maritime, rather salty, and slightly citric, with some peat smoke, passion fruits and mango. Diluted, it becomes more maritime, on seashells, and slightly peatier. 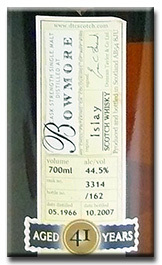 Impression: An excellent mellow and fruity Bowmore, with a discreet peat smoke, that is enhanced by adding some water. Quite maritime. 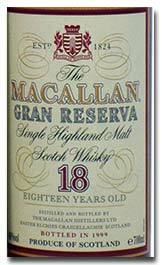 Nose: Mellow, fruity to very fruity, on tropical fruits, pineapples, mango, some guava and a light peat smoke. Taste: Slightly citric at the start, before moving to very fruity flavours, on a fruit basket, with passion fruits and Sugus (fruit candies). The finish is very long, complex, on passion fruits, ripe mango, guava purée, a hint of banana and aromatic smoke. 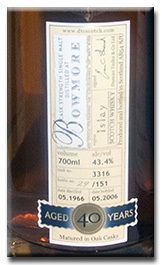 Impression: An excellent mellow and very fruity Bowmore, with a light smokiness. Thank you Ruedi! 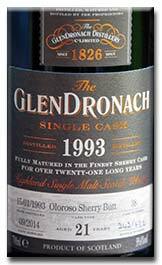 Nose: Very peaty, sooty, tarry and aromatic, mineral, intense, on dry sherry, aromatic peat smoke, tangerine, cocoa, leather, lots of soot, some ashes, charcoal, tar, aromatic herbs, dried fruits, and camphor. Excellent! Taste: Very intense, peaty and complex, aromatic, medicinal, slightly aromatic, on dry sherry, soot, tar, ashes, charcoal, some bandages, candied oranges, leather, cocoa, and cinnamon sticks. The dry smoky-bold peaty flavours are simply stunning. 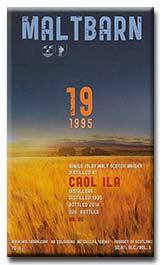 The finish is very long, intense, peaty, smoky, tarry, ashy and complex, slightly medicinal, on cocoa, bold and intense peat smoke, dry sherry flavours, game, some medicinal and coastal influence, seaweeds, soot, tar and various spices. Diluted, it becomes more bitter and on dark chocolate. 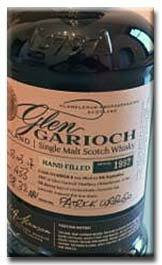 Impression: Although it has been bottled only at 43%, the intensity of the flavours is impressive, as well as the complexity and peatiness of this Glen Garioch. Simply, one of the very best whiskies I have tasted so far. More elegant, less bitter than the 1971 Samaroli 56.9% and without rubbery flavours. A dream dram and a must to try for any fans of old style peated whiskies. Superb. 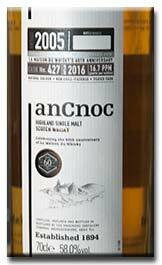 Nose: Mellow, complex, fruity, very aromatic, moderately peaty and maritime, on peat smoke, aromatic herbs, mango, passion fruits, some pineapple, melon and seaweeds. It is not the first time I taste this one, but I appreciate each time slightly better. Taste: Riche, spicy, intense, maritime to very maritime, very fruity, on tropical fruits, passion fruits, mango, pink grapefruits, other citric flavours, a pleasant round peat smoke and some melon. Diluted, it becomes more grassy and aromatic. 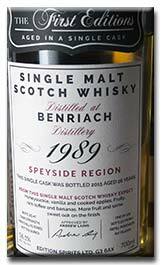 The finish is long, complex, intense, maritime, on sea brine, a mixture of exotic fruits, banana, mango and citrus, as well as a pleasant peat smoke and some aromatic flavours. Diluted it becomes spicier (mainly pepper) and ore citric. Impression: An excellent Bowmore, combining peat smoke, tropical fruits and citrus in an elegant and intense manner, with a pleasant dash of aromatic herbs. Lovely. 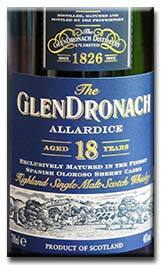 Nose: Smoky, peaty, complex, intense, waxy, slightly maritime and mineral, on dry to very dry sherry, tar, lots of dried fruits, tropical fruits, pineapples, sea brine, sea salt, high grade leather, red fruits and some dry mineral peat smoke. Excellent. The nose was more on sherry and fruitier than the first bottle I could taste. 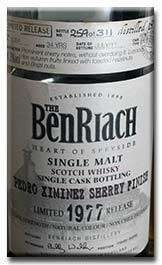 Taste: Initially dry to very dry, then it becomes sweeter, intense, rich, fruity, complex, waxy-oily, on red berries, high grade leather, dried fruits, tropical flavours, slightly bitter oranges, some rancio, peat smoke, sea brine and sea salt. The omplexity for a 12 years old whisky is amazing. The finish is long to very long, salty, intense, fruity to very fruity, waxy, resinous, on high grade leather, pineapple, tropical fruits, sea salt, red berries, some slightly bitter orange, dry mineral peat smoke, soybean, rancio and sweet liquorice (Haribo) and a touch of aromatic herbs. Impression: I tried this whisky already a few years ago, but I felt slightly short of my expectations. This is from another bottle freshly opened, but I found it better than the first bottle, fruitier, more complex and with more dry sherry. Simply superb, with an excellent combination of light mineral peat smoke combined with a gorgeous influence of an old style of dry sherry. Reputation well deserved. Nose: Very round, mellow, complex, dry, tarry to very tarry, smoky, on soot, tar, ashes, lots of dry peat smoke, some apples and light soft tropical fruits. Dryer, slightly tarrier and less intense than the 1991 200th. Taste: Mellow, complex, well-balanced, slightly maritime, on iodine, camphor, disinfectant, peat smoke, some citrus, tar, oranges and tangerine, as well as some aromatic and resinous flavours. The sherry influence is modest. The finish is long, dry, woody, slightly medicinal and maritime, on bonfire and dry peat smoke, iodine, camphor, some bitter lemon and orange, orange zest, honey, liquorice, tar, soot and dark chocolate. Impression: Quite different from the 1991 200th anniversary. A whisky with a moderate sherry influence, and with a dry rather medicinal long smoky and peaty finish that keeps going on. Excellent. 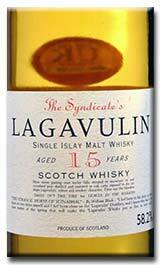 I love this style of Lagavulin. The cask of distinction is a program from Diageo proposing single casks from their distilleries to Asian customers. Nose: Very round, mellow, complex, on dried fruits, chocolate, peat smoke, dried smoke, ashes, some soot, bacon, tar rope and caramel. It becomes tarrier and slightly medicinal with time. Taste: Spicy, oaky, smoky, peaty, mellow, slightly peppery, sweet and resinous, on dried fruits, sultanas, some honey, tar, dry peat smoke, liquorice roots and a touch of cloves. The finish is long, oaky, slightly dry and tannic, on slightly green apples, dry peat smoke, ashes, liquorice root, honeycomb, nuts, candied orange, some tangerine, various spices (including cloves), tar, light maritime and medicinal flavours. With a retro-olfaction in dry bonfire and peat smoke, with some camphor and iodine. Impression: A very round and rather mellow Lagavulin, with a noticeable oaky influence and dried fruity flavours combined with some honey and rooty flavours. 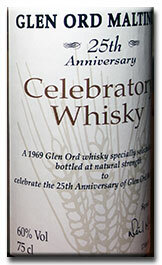 An excellent whisky, with a different style than the 25 YO 200th Anniversary (less sherry). Reminds me more of single casks of Lagavulin for the Feis Ile. 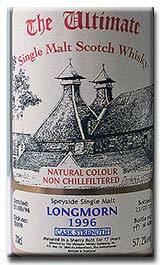 Nose: Peaty to very peaty, very smoky and maritime, on seaweeds, ashes, tar, some seashells, camphor and Lapsang Souchong and light fruity flavours, including some cooked apples. A different style than the 1990s single casks. Taste: Rich, sweet, fruity, tarry, juicy, peaty, very smoky, rather maritime, salty and citric, on tangerine, some orange, tropical fruits, seaweeds, camphor and a touch of iodine. The finish is long, rooty, smoky to very smoky, peaty, on dry peat smoke, tar, liquorice, seaweeds, some sea salt, orange, tangerine, citrus, pine wax as well as light notes of dried fish and exotic fruits. Impression: An excellent and hugely drinkable Lagavulin, with a delicious balance between a dry peat smoke and gentle slightly juicy exotic fruits and a touch of medicinal flavours. Lovely. Nose: Grassy, dirty, floral, grainy, starchy, with some humus, peat smoke, old smoke and some metallic brushes. Rather light. Taste: Smoky, waxy, aromatic, slightly mineral, with some eucalyptus, honey, ore, grassy flavours and aromatic herbs. The finish is medium, smoky, slightly metallic, aromatic, with some vanilla, melon, apricots, peach, starch, humus, old fashioned smoke, Mirabelle and a hint of peat smoke. Impression: The nose was quite light and grainy, with a light smokiness, and gained a much appreciated complexity and intensity on the palate, as well as additional aromatic flavours. An old fashioned and pretty good blended whisky. Nose: Floral to very floral, malty, grainy, on dry flowers, fudge, some Mirabelle, malt, starch, porridge and vanilla. Taste: Light, grassy to very grassy, floral, spicy, on heather honey, toffee (Werther’s) some Mirabelle, porridge, peach, eucalyptus and humus. The finish is medium, grainy, floral to very floral, grassy, slightly starchy, on humus, heather honey, some pepper, toffee (Werther’s), humus and old fashioned smoke. Impression: An old-fashioned Whisky, moderately smoky, flora and grassy, with round heather honey flavours, as well as some eucalyptus. The influence of the grain is well present. Taste: Intense, dry, tannic, phenolic, fragrant, with some coffee, tar, molasses, liquorice, dried fruits, citrus and precious woods. Diluted, it becomes bitter, more fragrant and slightly woody. The finish is medium to long, thick, phenolic, with some charcoal, liquid tar, liquorice, roots, molasses and raisins. Impression: A very intense, heavy and phenolic Caroni. 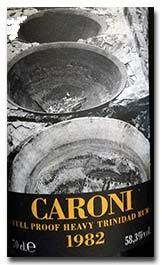 Not for the faint hearted but definitely a very good Caroni. Thank you Enrico. Nose: Very sugary, round, quite fragrant, on pineapple, coconut, cane sugar, vanilla and some treacle. Taste: Very sweet and green, sugary, on rucola and ripe banana. The finish is medium to long, sugary, on banana, rucola and some pineapples. Impression: A very sweet Rum, with a nose initially on coconut, vanilla and pineapples, before moving to more green and banana flavours. My experience with Rum is very limited, but not one really suited to my taste. Thank you Gilles. Nose: Very fruity and mellow, rich, sweet, sugary, on grapes sugar, tropical fruits, passion fruits and honey. The freshness for such an old cognac is impressive. Impression: An excellent smooth and sugary Cognac, with lots of exotic fruits and herbal tea, with a long retro-olfaction reminding me of some soft drinks on exotic fruits. Thank you Christian D.
Nose: Very mellow, complex, balanced, juicy, fruity, rich, grassy, on honey, tangerine, some orange, cinnamon, precious wood and aromatic flavours. Taste: Very mellow, round, floral, quite soft, on orange, tangerine, cinnamon, some peat smoke, light aromatic herbs and honey. The finish is medium to long, very mellow, soft, on honey, some tangerine, leather, orange, cinnamon and peat smoke. Diluted, it becomes more bitter, woody and astringent. Impression: The nose is very mellow, fruity and quite soft, with a nice soft and very fruity palate, but becoming quite bitter and tannic on the finish with water added. Nose: Smooth, floral, oaky, spicy, green, with some humus, tangerine and grassy flavours. Taste: Oaky to very oaky, young, spirity, green to very green, on wood spices, ginger, green apples, some hay and humus. The finish is medium, very green, floral, young, oaky, rather spirity, slightly sour, on humus, some green apples and wood spices. Impression: A whisky matured in a rather inactive whisky cask. It tasted rather young and slightly sour. 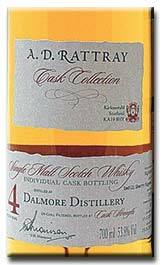 Nose: Peaty to very peaty, tarry, slightly aromatic, maritime and meaty, with some smoked meat, disinfectant, and iodine. Very good. 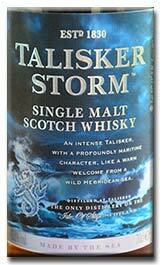 Taste: Fresh, dry, peaty to very peaty, mellow to very mellow, maritime, some tar, soot, iodine, peat smoke and sea brine. The finish is medium to long, mellow to very mellow, maritime, on iodine, peat smoke, camphor and a hint of spearmint. Impression: A very good peaty, mellow and maritime whisky, with a very pleasant and complex peat smoke, and a fair dose of peat. Taste: Dry, smoky, maritime, sweet, on figs, dates, dark chocolate, cherries, dried seaweeds, tar and soot. The finish is medium, dry, smoky, peaty, tarry, maritime, with some tangerine, dark chocolate, leather, cherries, dry peat smoke and dry seaweeds. Diluted, it becomes more on mocha and roasted coffee beans and nuts. 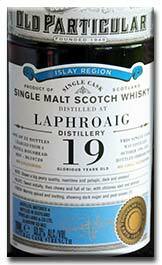 Impression: When I first tasted, I remembered of tasting a sweet and fruity Laphroaig, but tasted again in my standard tasting conditions, it tasted dried and more on dark and slightly bitter sherry. Nose: Fruity to very fruity, rich, sweet, intense, complex, on rich spices, leather, orange, some fudge, tropical fruits, cinnamon, milk chocolate, rancio and Christmas cake, as well as some dried fruits. Taste: Sweet, rich, fruity, slightly aromatic, spicy, on treacle, cocoa, rancio, berries, dried fruits, cinnamon, orange, tangerine, leather, cinnamon and delicate spices. The finish is medium to long, rich, spicy, floral, sweet, smooth, fruity, nutty, on coffee beans, leather, precious wood, cinnamon, nutmeg, some rancio, cocoa, walnuts and orange. Impression: A nice, fresh, rich, complex whisky, heavy on leather and spices, with the right dose of tannins, nuts and bitterness. Very good. 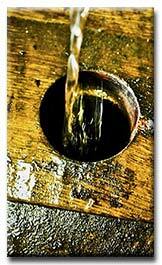 Nose: Peaty to very peaty, oaky, maritime, on wet wood, humus, seaweeds, iodine, disinfectant and vanilla. Taste: Very maritime, salty, peaty, slightly woody, on seashells, sea weeds, salt, bandages, disinfectant and some tar. The finish is medium to long, salty, very maritime, medicinal, phenolic, slightly tarry, on seaweeds and old type of peat smoke. Impression: Not the most intense or complex Laphroaig, but I really enjoyed this complex, maritime, subtle and elegant peat smoke. Nose: Smooth, grassy, malty, and slightly floral, on quince, melon, vanilla, honey and some Mirabelle. Taste: Fresh, grassy, round, slightly floral and juicy, on pastries, dough, some melon, honey, quince and gooseberries. The finish is medium, malty, fresh, slightly green, floral and bitter, slightly buttery, with some ginger, fragrant flowers, vanilla, quince, gooseberries and tobacco leaves. Impression: A fresh, floral, fragrant whisky, with a hint of bitterness. Refreshing. Nose: Smooth, floral, fruity, on strawberries, leather, some cinnamon, orange and light vegetal flavours. Taste: Rich, vegetal, rather light, on toffee, leather, some salt, cinnamon, orange and nutmeg. The finish is medium, slightly spicy, floral, and salty, on toffee, fudge, some orange, tangerine and a hint of aromatic herbs. Diluted, it becomes mellower. 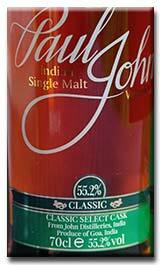 Impression: A very good and mellow whisky, with a moderate smooth sherry influence on toffee and fudge. Nose: Smooth, round to very round, vegetal, on vegetal condiment (Fondor), some celery and toffee. Taste: Rich, spicy, floral, slightly fragrant, astringent, on burnt rubber, cinnamon, nutmeg, cloves, tannins, roasted coffee beans, cinnamon sticks, some celery and toffee. The finish is long, thick, chewy, tannic, and intense, on worn leather, some celery, roasted coffee beans, dark chocolate, marmalade, cinnamon and cloves. Diluted, it becomes much smoother, more floral, on fudge, and with less tannins and rubber. Impression: Tasted neat, this whisky was dominated by thick, rich and intense sherry flavours, loaded with tannins, spices and leather, while it becomes smoother, subtler and less extreme with some water. 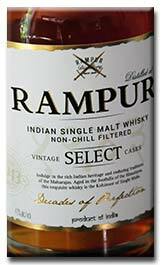 Nose: Light, fresh, young, peaty, oaky, maritime and with some toffee. 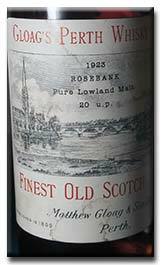 Taste: Young, fresh, oaky to very oaky, peaty, smoky, maritime, slightly austere and rooty, with loads of vanilla. The finish is medium, oaky to very oaky, maritime to very maritime, slightly rooty and on vanilla. 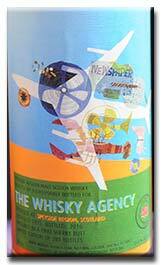 Impression: A young, light, oaky, peaty to very peaty whisky with a nice smokiness. Nose: Thick, intense, floral, nutty, very spicy, heavily sherried, on cinnamon, nutmeg, orange, bloody orange, dried fruits, and leather. Excellent. Taste: Intense, very rich and spicy, fresh, light, floral, on vanilla, leather, tannins, soft spices, berries, precious wood, cloves, orange, some exotic fruits and walnuts. The finish is long, rich, floral, on precious wood, walnuts, orange, tangerine, leather, some tannin, cinnamons, honey, berries and light exotic fruits. 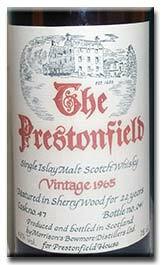 Impression: A very good and heavily sherried whisky, on leather, some honey, walnuts, sweet and smooth fruity influence. The whole is well balanced and most pleasant. Nose: Rich, round, mellow, heavy, fruity to very fruity, sweet, floral, fresh, on almonds, high grade leather, roasted almonds, some cocoa, rancio, dried fruits, and a hint of berries. The balance is impressive. Taste: Juicy, fruity, spicy, slightly grassy and malty, on exotic fruits, pineapples, guava, grape and orange juice, as well as some banana, mint, peat smoke, tar and grapes sugar. The finish is rather long, fruity, floral, slightly mellow and astringent, with some peat smoke, rubber, pepper, treacle, leather, tannins, marmalade, sultanas and tar. Diluted, it become more fragrant, bitter (coffee beans and dark chocolate) and astringent. Impression: A rather difficult whisky, as the influence of the oak cask is very intense and tends to dominates this rich, fruity, spicy and slightly floral and smoky whisky. Very good and would have score higher, if the influence from the sherry had been slightly less pronounced. Nose: Light, fresh, malty, on icing sugar, fresh flowers, a hint of vanilla and lemon zest. 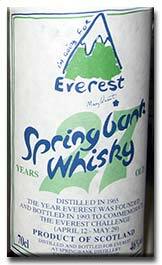 Taste: Young, malty, fresh, on fresh flowers, some vanilla, freshly cut grass, lemon grass and Indian tonic. The finish is medium to long, light, fresh, slightly grassy, malty, and aromatic, with some Indian tonic, freshly cut grass and lemon grass. Impression: A good, fresh, light, grassy, and subtle whisky with some Indian tonic and lemon grass. Nose: Mellow, round, fruity, grassy, with some honey, light floral flavours, some vanilla, mint, and a touch of almond. Taste: Spicy, mellow, fruity, malty, slightly grassy, with some light floral flavours and a touch of pepper. The finish is medium to long, spicy to very spicy, round, mellow, with some spices, tobacco and a few drops of orchards fruits and fallen leaves. Impression: A very good and mellow whisky, slightly earthy whisky, with pleasant woodland flavours and a nice spicy bite. Nose: Rich, intense, woody and fragrant, on lacquer, varnish, precious wood, tannins and orange. 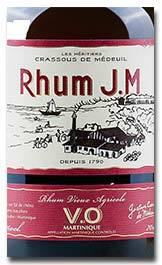 Taste: Spicy, smooth, sweet, juicy, slightly maritime, on strawberries, cinnamon, some tannins, caramel, cocoa and dried fruits. The finish is medium, sweet, juicy, with a touch of sea brine, on orange, tangerine, orange juice, some cinnamon and a touch of rubber. Impression: A very nice, sweet and juicy sherried whisky, with a dash of orange juice. A single malt from Islay. Nose: Round, fruity, smooth, slightly malty and mellow, on quince, dough, melon, some peach and melon. Given time, it becomes more on passion fruits, coconuts and banana. 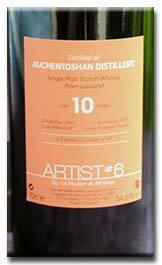 Taste: Rich, fruity to very fruity, mellow, round to very round, slightly smoky, peaty and citric, on melon, quince, tropical fruits, papaya, grapefruits, some banana and a few drops of liquid honey. 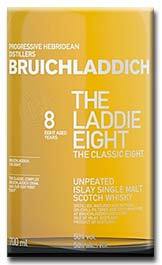 The finish is long, mellow, citric, fruity to very fruity, slightly peaty and smoky, with the same exotics fruits as on the palate. 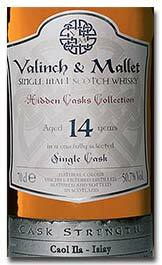 Impression: An excellent mellow, rich, fruity, slightly citric whisky, with a fruit basket on top of some lingering peat smoke. Miamiam. Nose: Very sweet and fruity, smooth, mellow, on a fruit basket of tropical fruits and a light smokiness. Excellent. Taste: Very smooth, mellow and fruity, well-balanced, complex and rich tropical fruits. I love these fruity flavours. The finish is long, complex, slightly dry and spicy, on tropical fruits, leather, some tannins and cinnamon. Impression: A deliciously fruity whisky, very smooth and mellow, complex and well balanced. Harmonious. Eleven years old and very mature. A whisky at its peak. Well done! Nose: Smooth, floral, slightly salty, on toffee, fudge, tangerine, light vegetal flavours and condiments. Original. Taste: Rich, spicy, floral, on vegetal condiment, fudge, fondor (vegetal condiment), tangerine, some balsamic vinegar and leather. Diluted, it becomes better, fruitier, rounder, more complex, less vegetal, with light grassy and honey flavours. The finis is medium to long, grassy, vegetal, and fruity, on honey, tangerine, orange, cinnamon and some red berries. Diluted, the vegetal flavours are replaced by round and pleasant fruity flavours. Impression: Tasted straight, I found the vegetal flavours slightly disturbing, but once water has been added, it becomes less vegetal, rounder, more fruity and pleasant. Better to drink with some water. Nose: Nutty, floral, spicy, farmy, slightly meaty, on treacle, nutmeg, some precious wood, banana and other light exotic fruits. Taste: Smooth, spicy, slightly floral and fragrant, malty, on fudge, some toffee, orange, tangerine, soft spices and pollen. The finish is medium to long, smooth, slightly creamy, floral and malty, with some pollen, fudge and a slight fragrance. Impression: A very smooth, slightly fragrant, on fudge and a soft floral fragrance. Nose: Very grassy, green, fruity, malty, slightly starchy, on honey, forest honey, some herbal infusion, spices, and milky flavours. Original but very good. Taste: Rich, Spicy to very spicy, green, grassy, with lots of honey, some aromatic herbs and milky flavours. The finish is long, intense, rich, green, grassy, malty, fruity, well balanced and complex, on melon, tangerine, Mirabelle and light aromas of mango and guava, as well as hint of smoke. Impression: A most pleasant whisky, with a mixture of aromatic herbs, honey, milk and rich spices. The flavour profile might be unusual, but the combination of flavours works very much and I enjoyed very much. 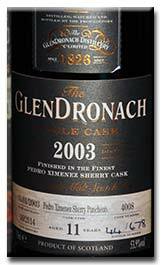 Nose: Slightly peaty and smoky, round, on dried fruits, orange, rubber, some toffee and vegetal condiment. Taste: Rich, fruity to very fruity, slightly spicy, with a touch of salt, rubber, toffee, dried fruits, peach, tangerine, orange and sultanas. Slightly winey. The finish is medium to long, rich, fruity, rubbery, on dried fruits, some nuts, mango, orange, other exotic fruits, sultanas and light winey flavours. Impression: A very good and fruity whisky, intense and rich, but more bitter and rubbery than the first time I tasted this whisky some years ago. Tasted blind. Taste: Smooth, juicy, malty, floral, slightly fragrant, on sweet juicy fruity flavours, tobacco leaves, leather, roasted coffee beans, rubber, and a hint of smoke. The finish is medium, fragrant, light, quite spicy, slightly dry and grassy, on yellow fruits, some peach, tangerine and honey. Impression: A very nice, smooth and rather fruity sherried whisky, Very enjoyable. Nose: Smooth, heavy, thick, heavily sherried, nutty, on dried fruits, leather, heavy tannins, treacle, cinnamon, nutmeg, orange and walnut. Taste: Rich, spicy, slightly vegetal, with some sea brine, walnuts, leather, tannin, various spices and fruity flavours (orange, orange juice and some tangerine). The finish is long, thick, rich, chewy, slightly tannic and floral, on heavy leather, dried fruits, tangerine, orange, cinnamon, nutmeg, dark chocolate, cherries, some nutty and light aromatic flavours and humus. 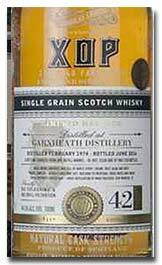 Impression: A heavy and sherried whisky, intense, well balanced, and with a pleasant nuttiness and fruitiness. Nose: Nutty, meaty, thick, heavy, on treacle, some vegetal condiment, spices, celery, leather, and cocoa. Taste: Floral, fragrant, spicy, fruity, slightly salty-citric and nutty, on spices, some vegetal condiment, cocoa, leather, orange and tangerine. The finish is medium to long, fruity, spicy, on leather, slightly sour-citric. Impression: A very well made heavily sherried whisky, rich and intense, with a pleasant and rather intense sour fruity influence, that works very well. Copyright © 2006-16 Patrick Brossard. All Rights Reserved.